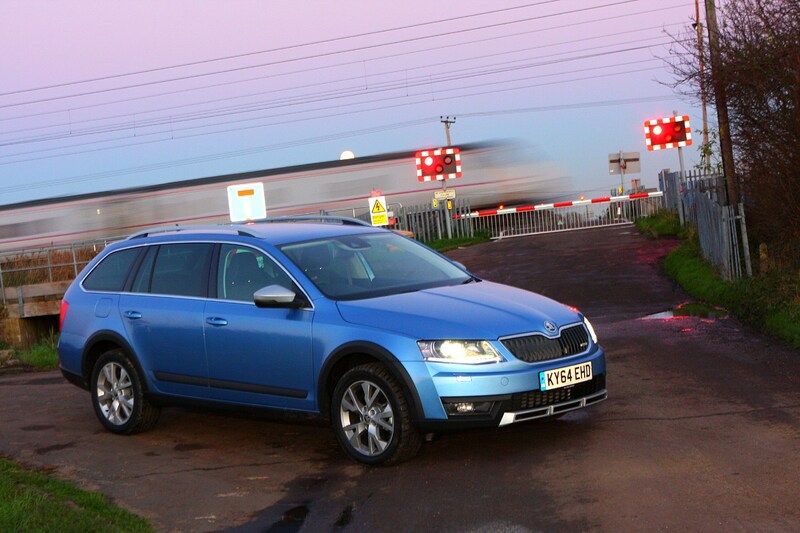 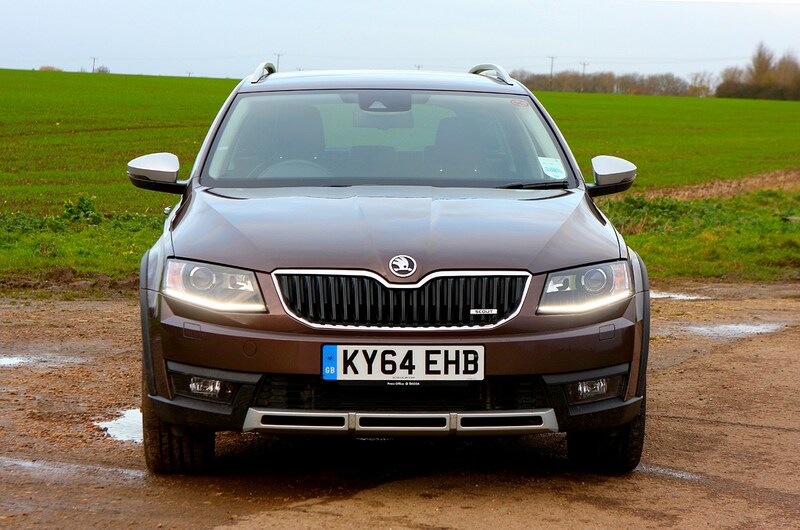 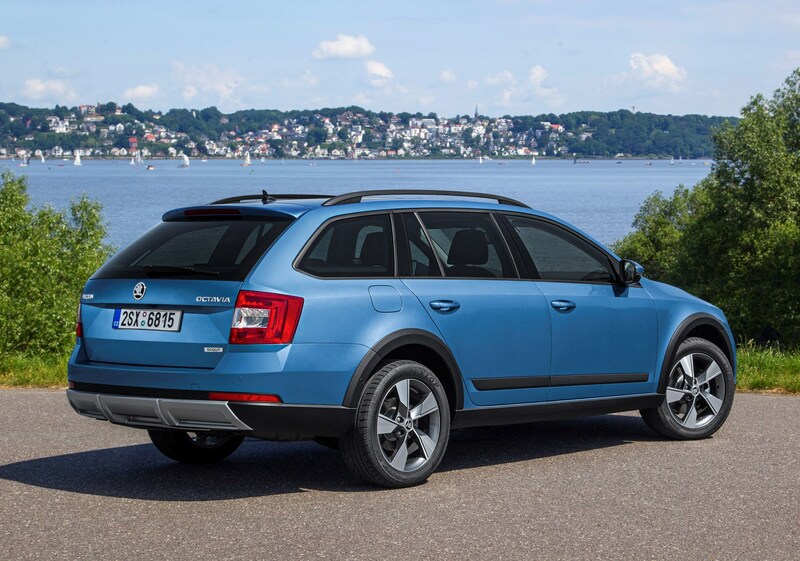 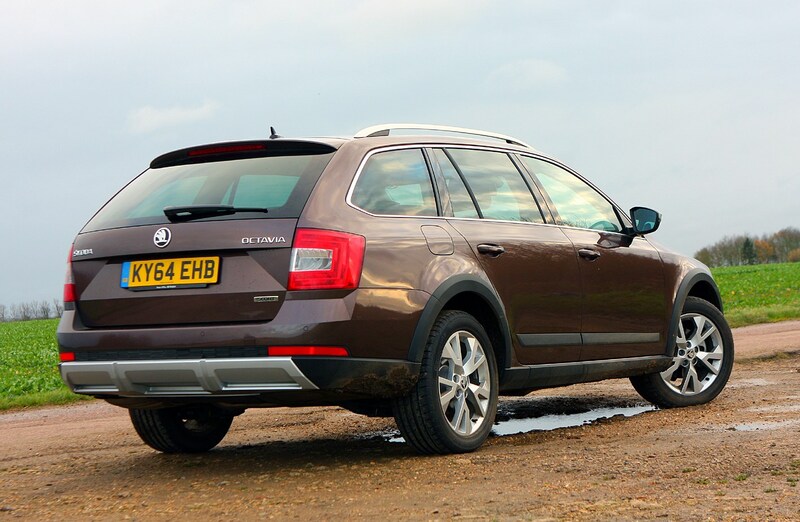 In general, the Skoda Octavia Scout’s performance is very good, despite the limited choice of engines in the range. 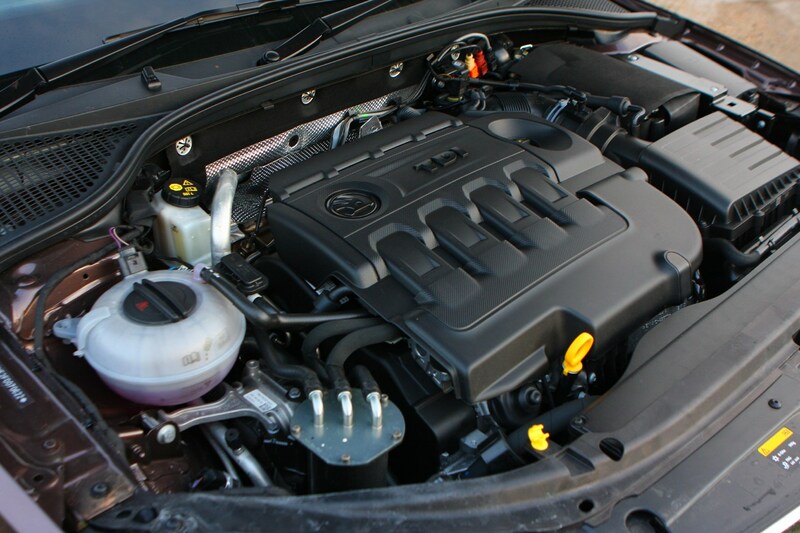 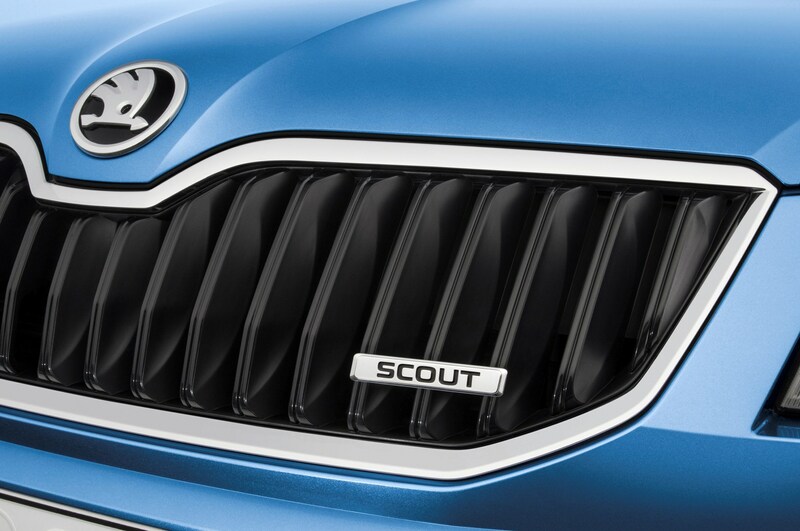 There are two diesel engines on offer in the Scout – both 2.0 litres in size and producing either 150hp or 184hp. 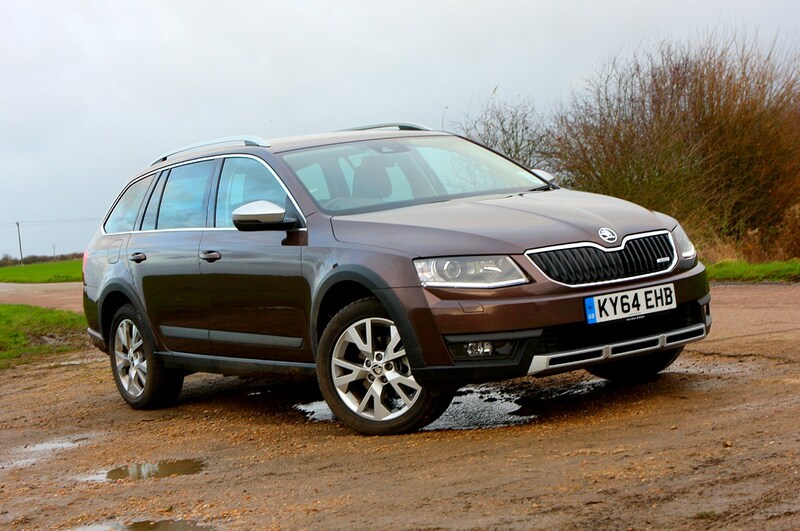 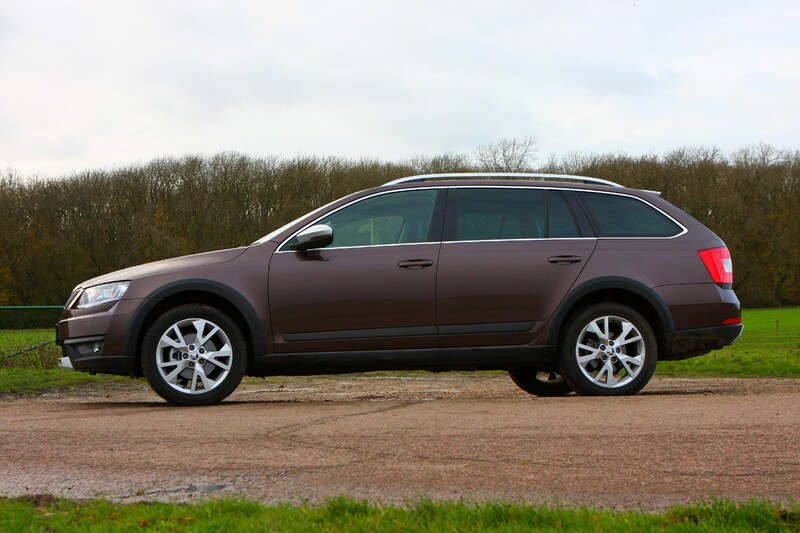 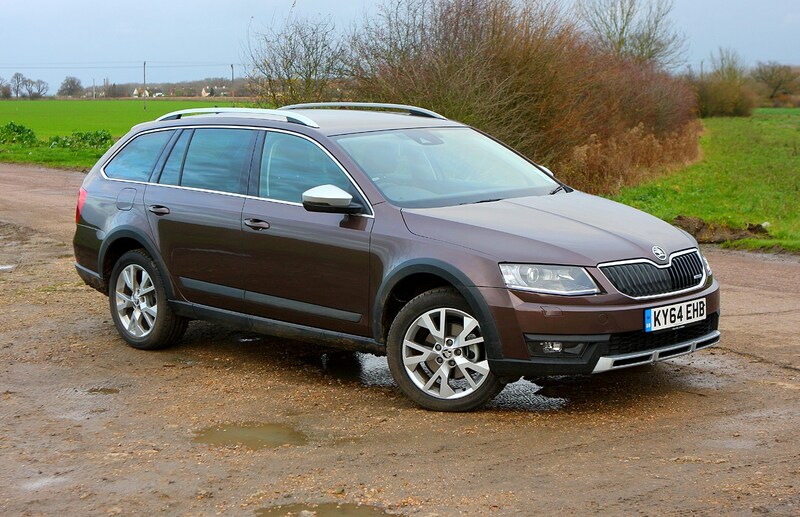 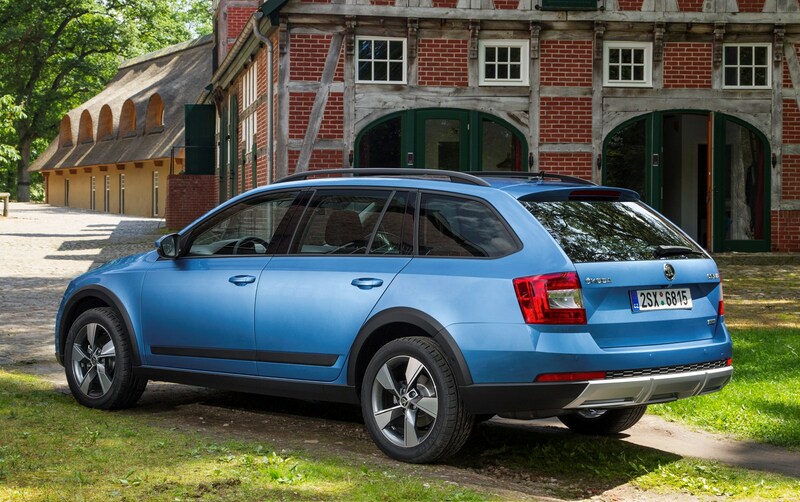 There are no petrol options like you’ll find in the regular Octavia Estate. 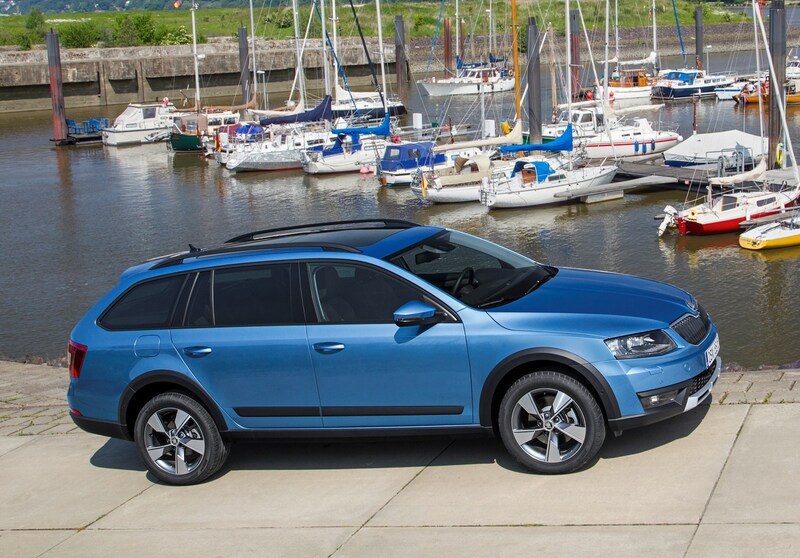 Despite the lack of choice, both options are impressive. 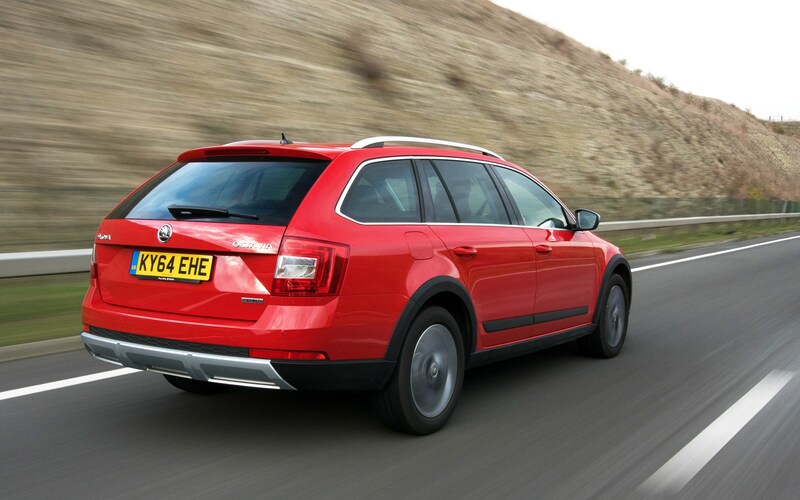 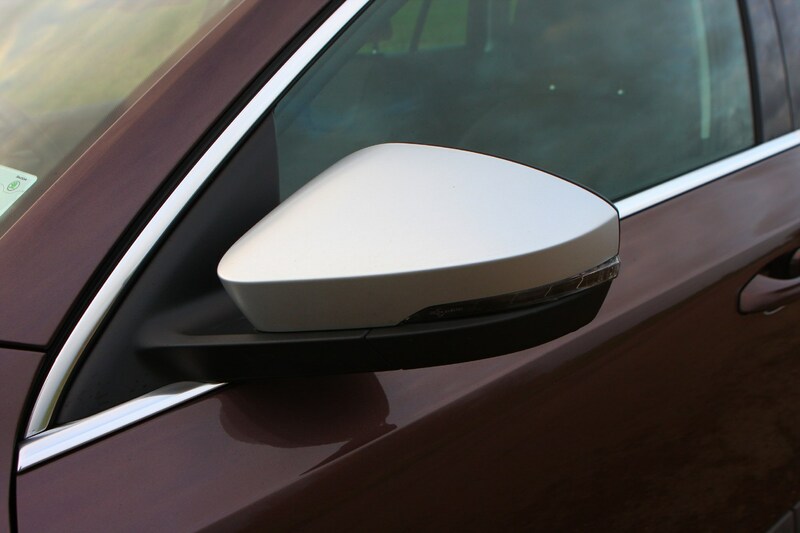 They’re smooth at cruising speeds, but powerful enough to inspire confidence in overtaking manoeuvres on the motorway. 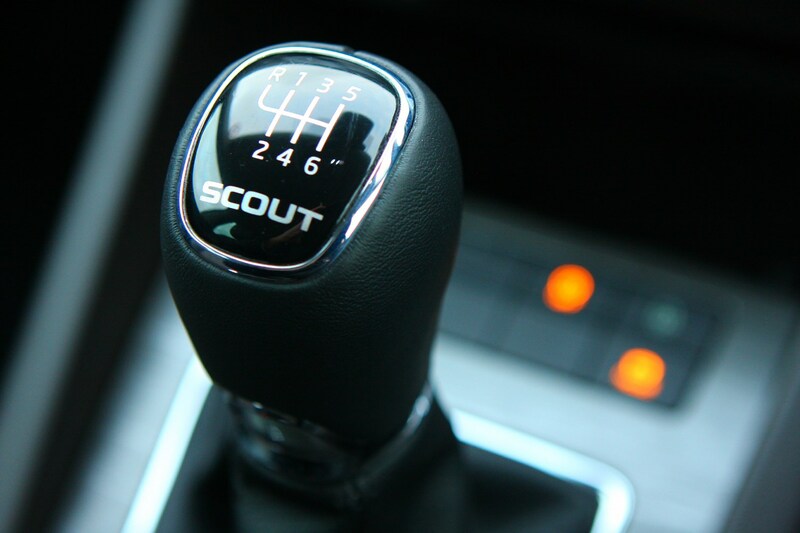 Mated to a six-speed manual gearbox only, the 150hp option is refined and impressively quiet, the 0-62mph sprint is achieved in 8.6 seconds with a top speed of 132mph. 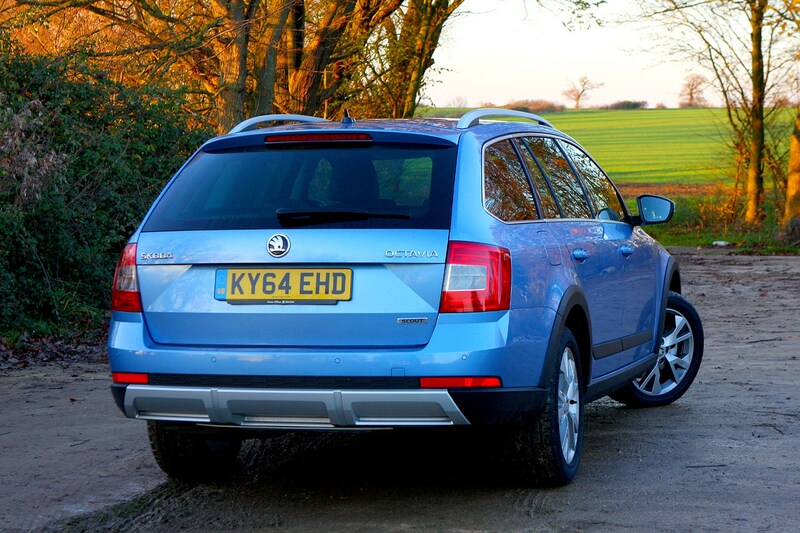 It offers plenty of torque at 340Nm. 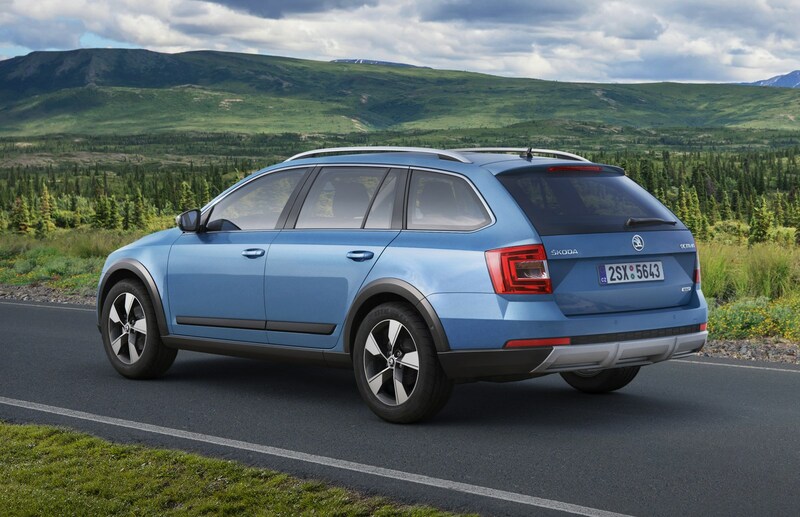 The more powerful 2.0-litre TDI option with 184hp and the same 340Nm of torque is only available with a DSG automatic gearbox. 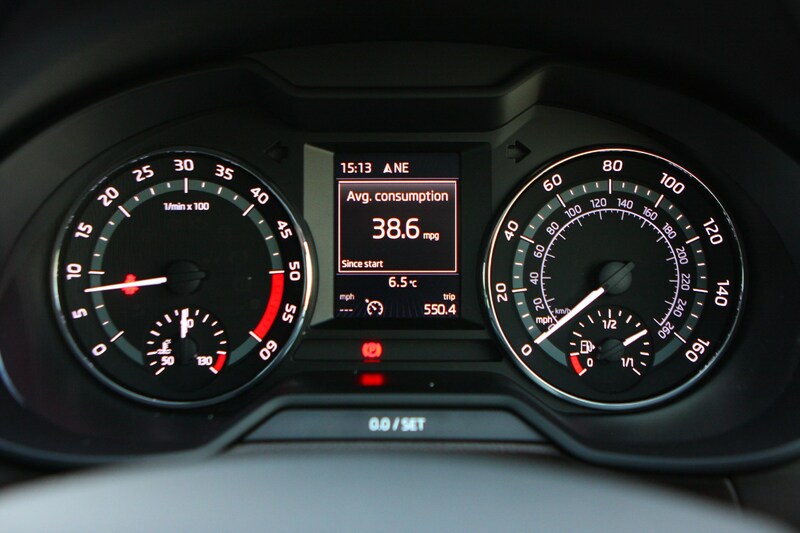 Despite the increase in power, it’s only marginally faster than the 150hp model. 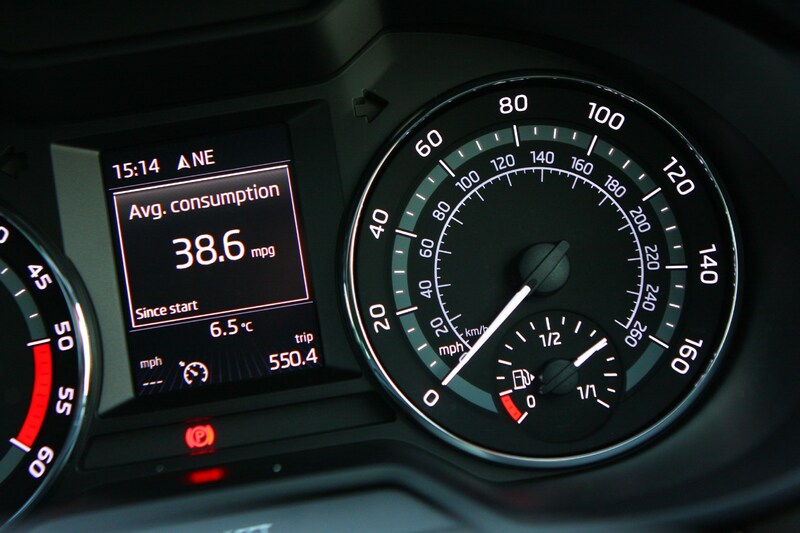 The 0-62mph sprint is achieved in 8.4 seconds with a top speed of 133mph. 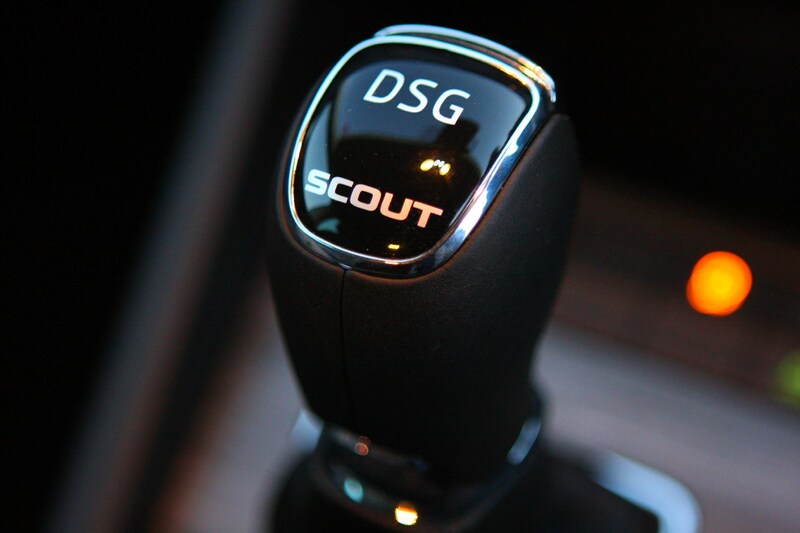 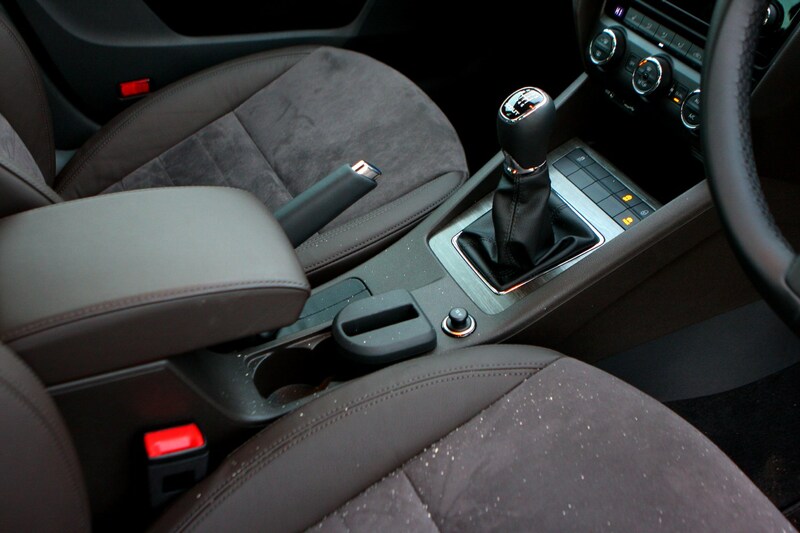 The DSG gearbox is well proven and features in many Volkswagen, SEAT and Skoda cars. 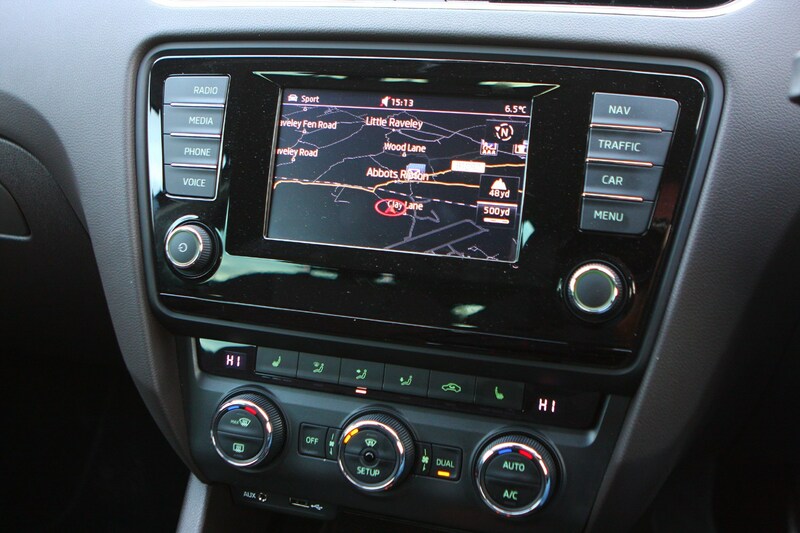 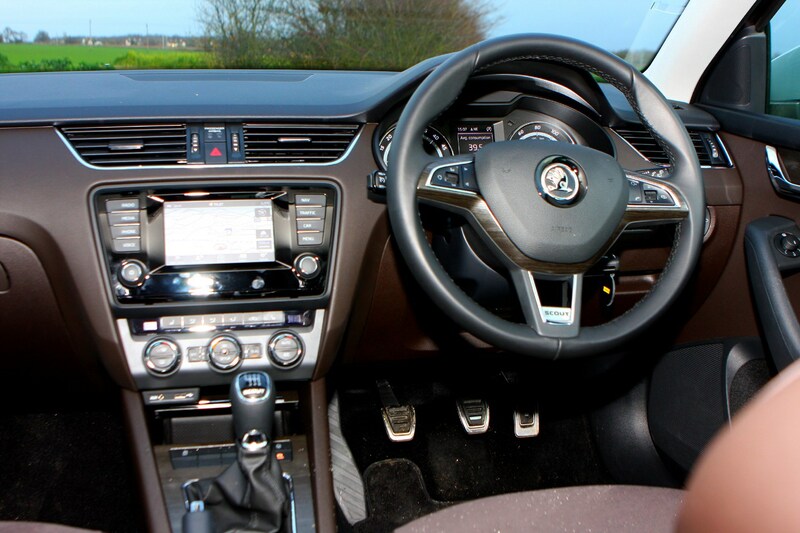 Gear changes are smooth responsive as you’d expect from an automatic gearbox. 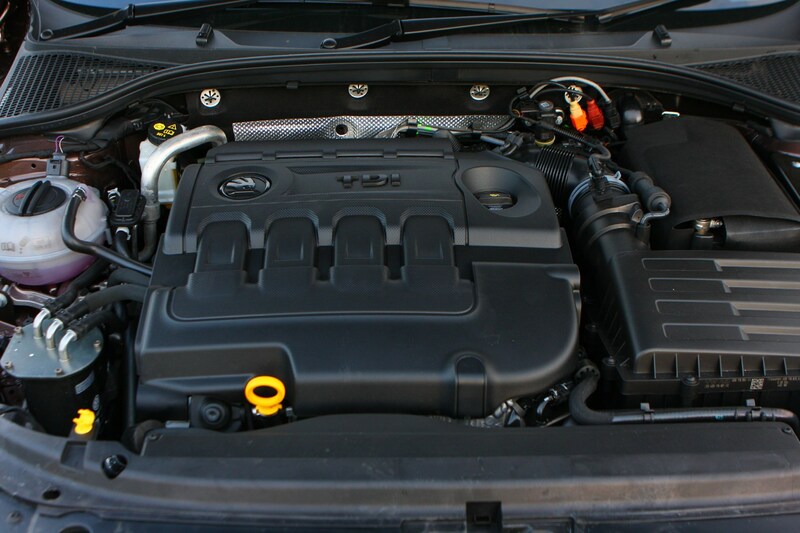 Despite the difference between the two engines when it comes to power, there are only small differences between them when it comes to the running costs. 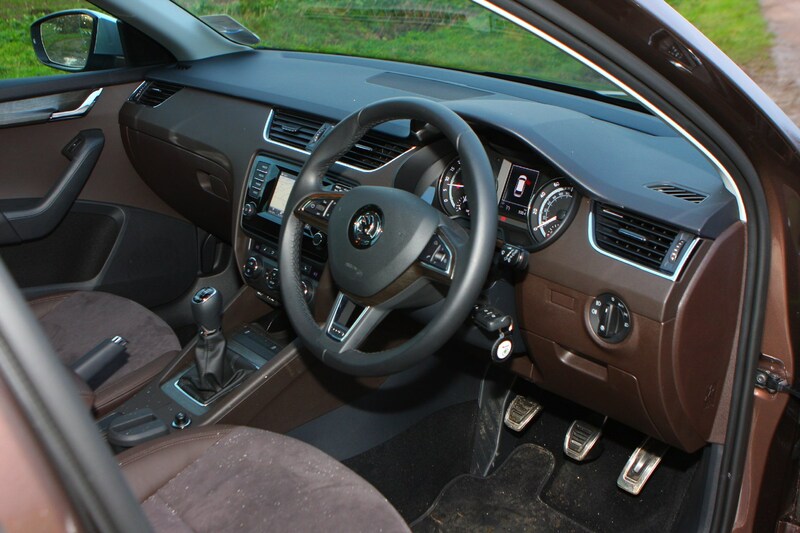 There is quite a hefty premium for the higher-powered model though which we are not convinced is worth the money, unless you really want the automatic gearbox. 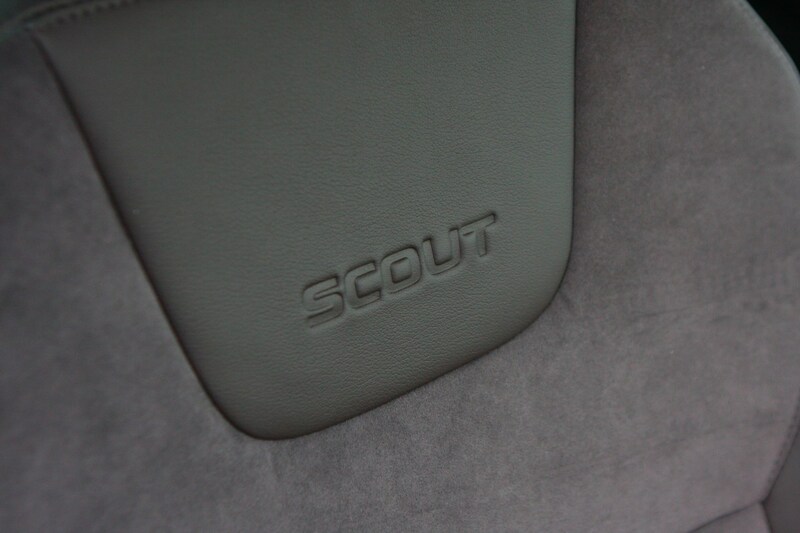 The Scout’s handling is very good, especially when you consider its raised ride height and more comfort-focused set-up. 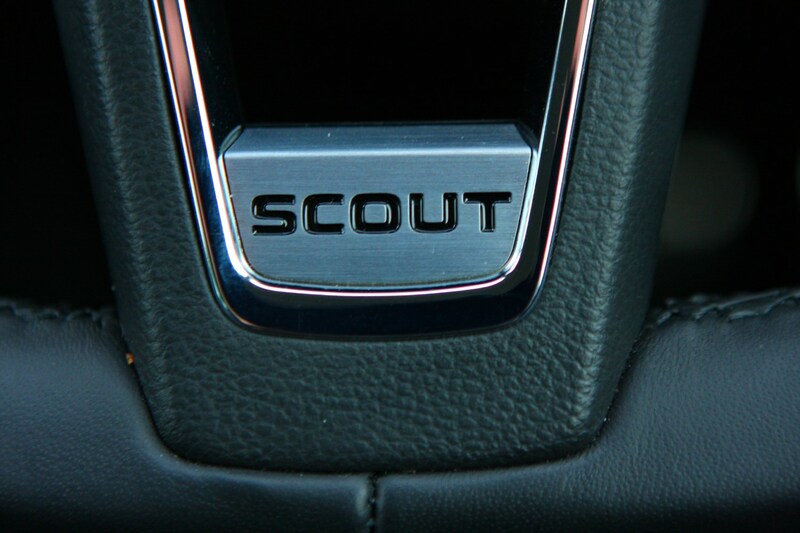 Overall, the Scout is a conservative drive with well-weighted and precise steering, however the body doesn’t roll too much in corners despite the raised ride height. 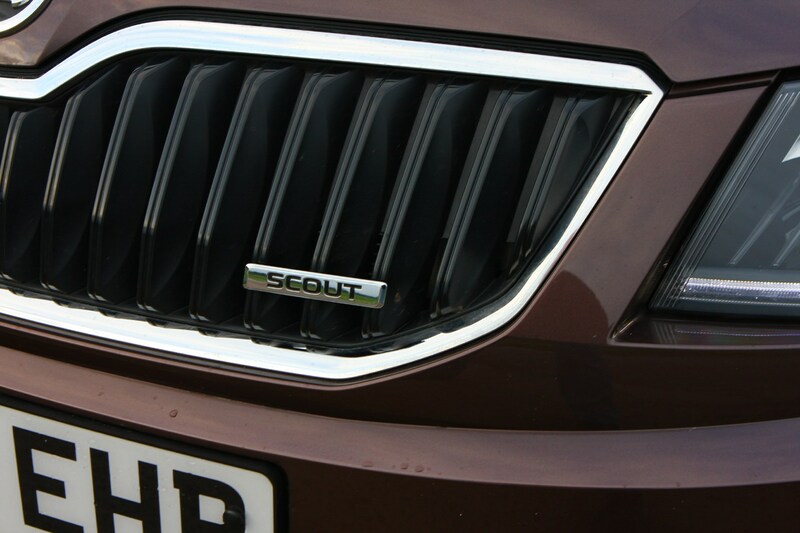 Traction is impressive thanks to the all-wheel drive system, and grip in the bends is also good – it takes a lot to unsettle the Scout and it rides very well indeed. 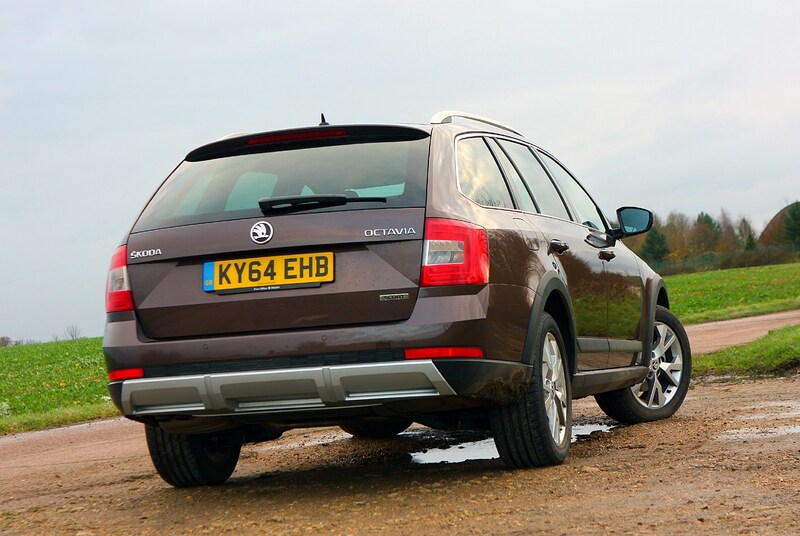 It’s also excellent on the motorway with impressive refinement and a comfortable ride, but remains agile and nimble when driving on smaller roads or in town. 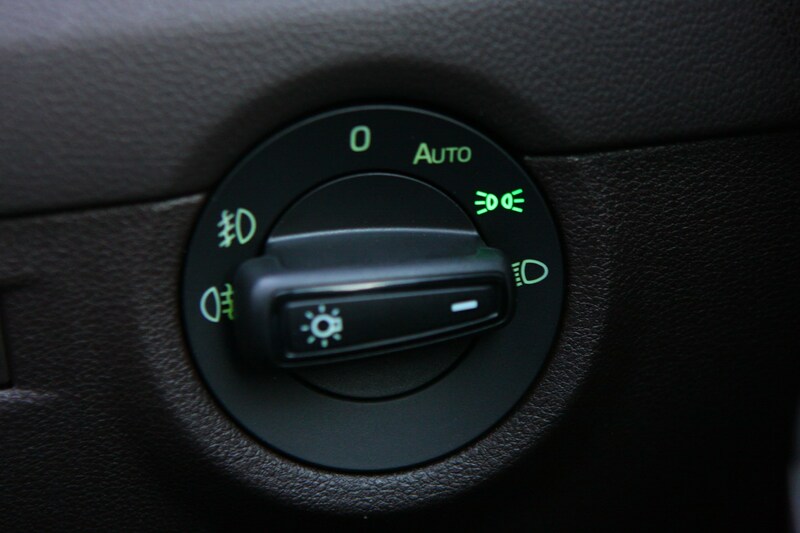 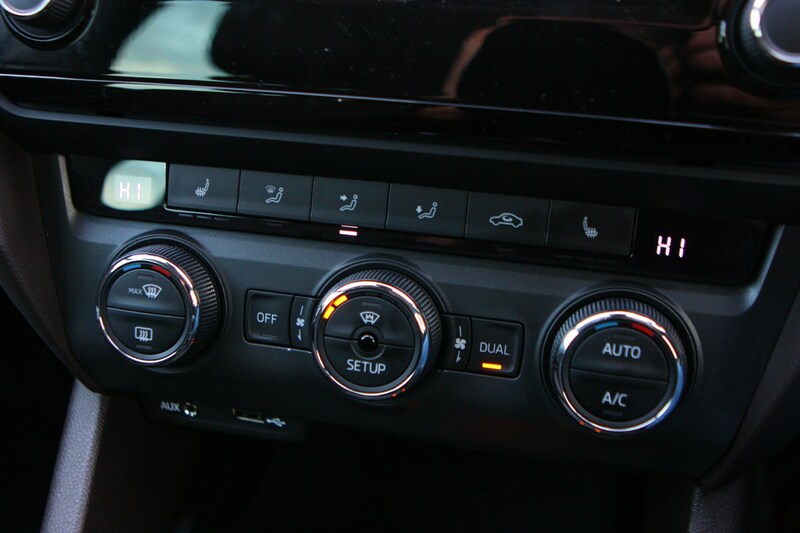 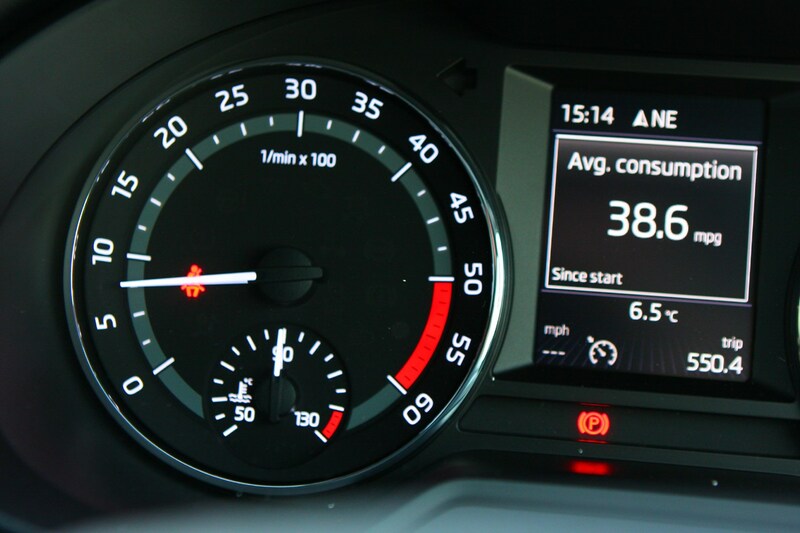 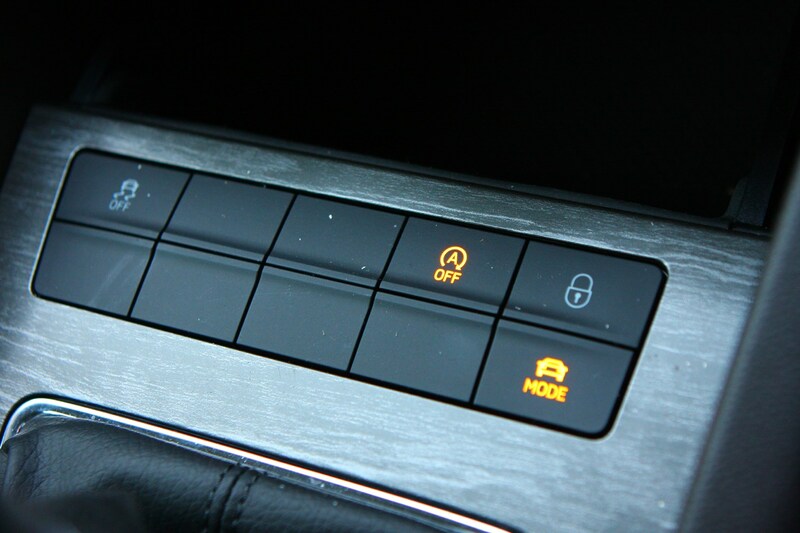 In normal road driving, you have four different driving modes to choose from - Normal, Eco, Individual and Sport - the Sport mode allows access to more revs which is ideal for overtaking and gaining speeds quickly on the motorway. 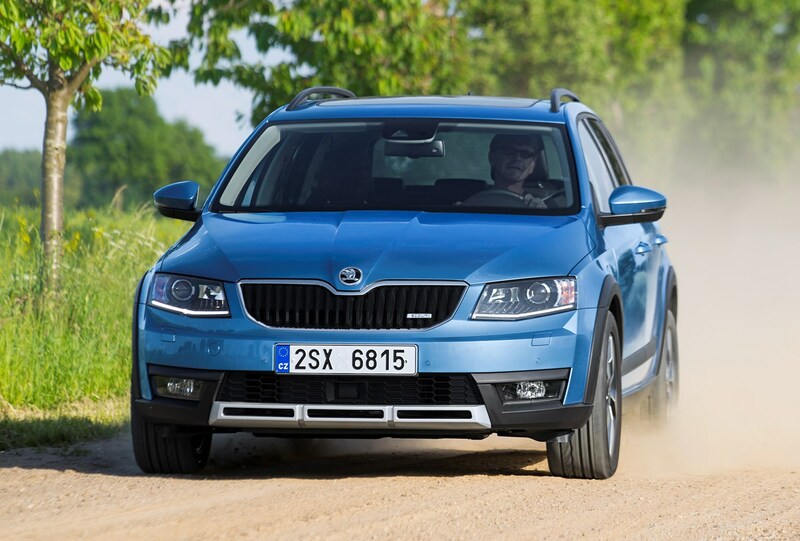 There’s also an Off-Road mode for when you want to attempt some more tricky terrain. 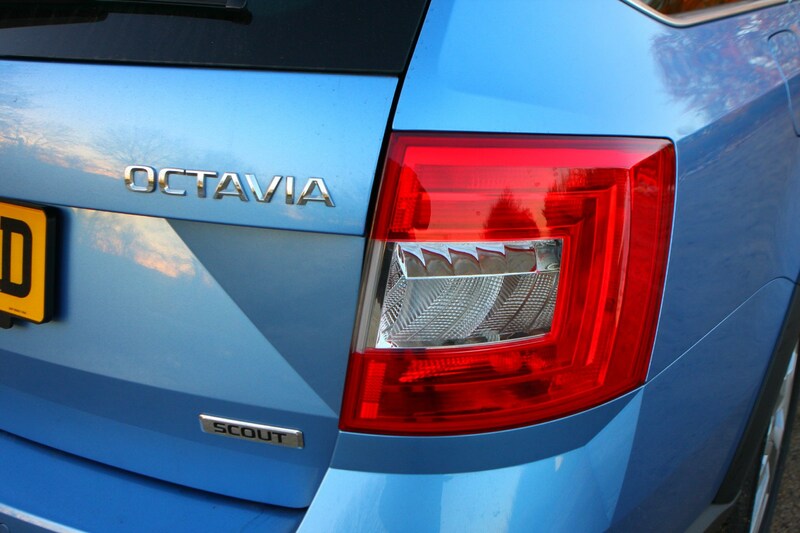 The Octavia Scout is impressively capable off-road, proving you don’t need something with extra-high ride height and overly complicated electronics. 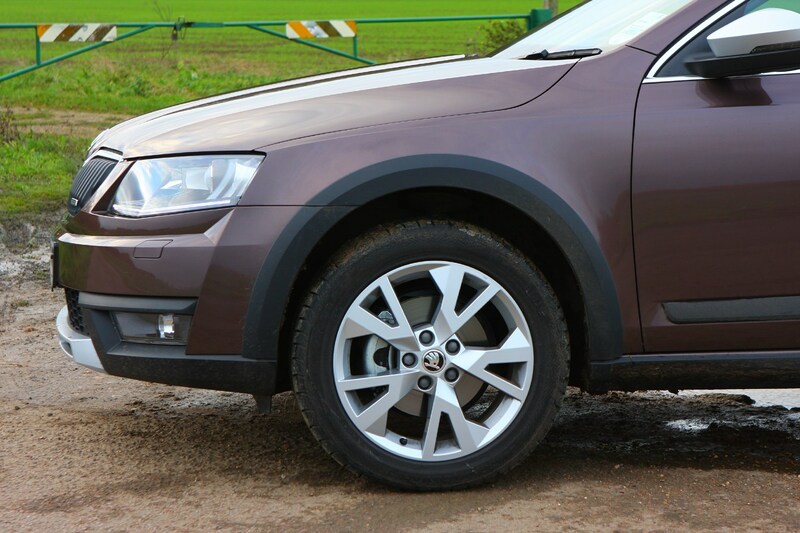 It can easily tackle steep inclines and rocky obstacles without too much drama. 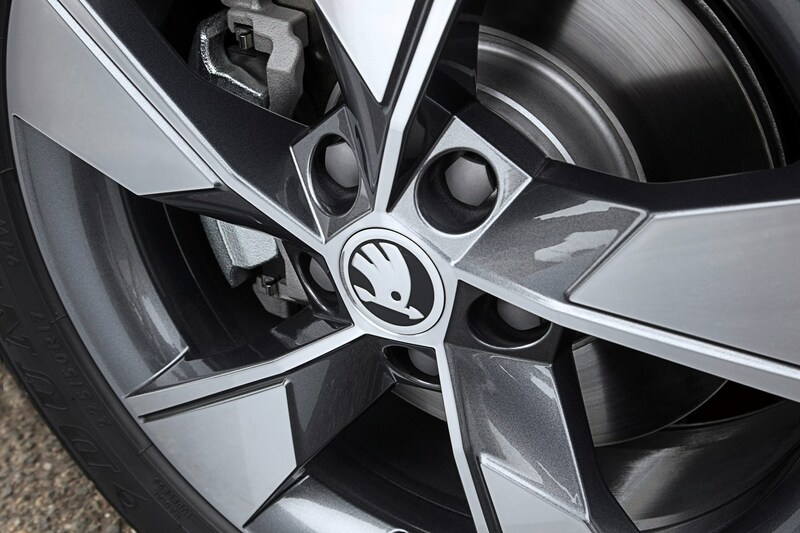 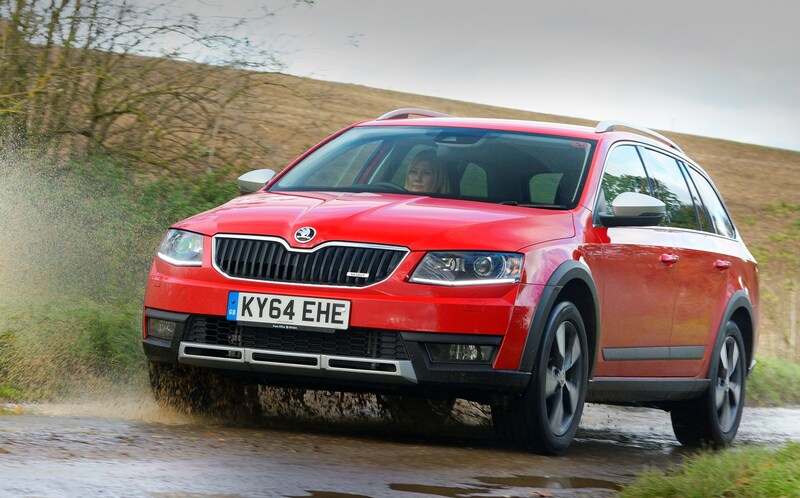 The latest all-wheel drive technology includes a new clutch system that automatically distributes the power to all four wheels dependant on the conditions, so you can be confident that you are well-equipped if you wish to stray off the tarmac. 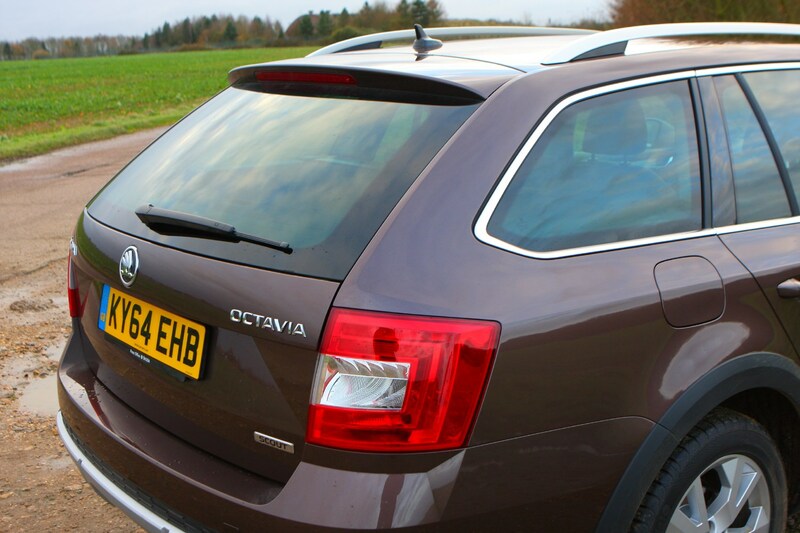 The Octavia Scout also features a two-stage Electronic Stabilisation Control (ESC) that can be adjusted to suit certain driving conditions. 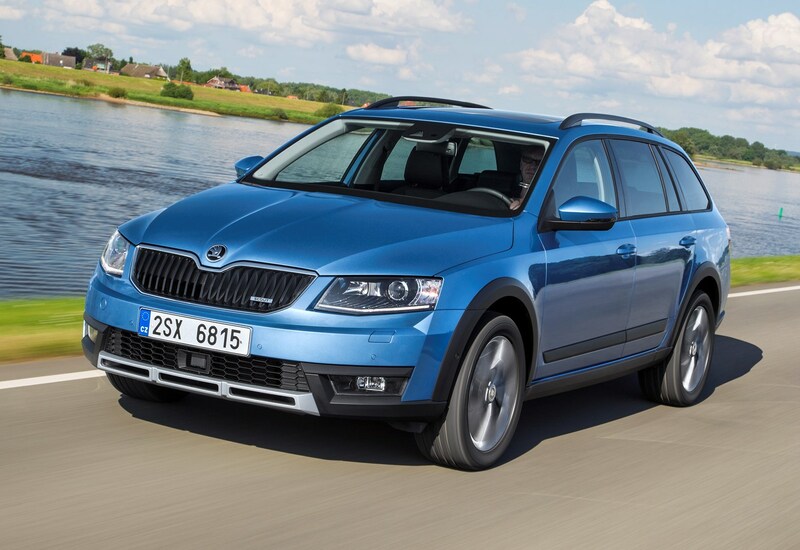 Slip behind the wheel of the new Octavia Scout and you will be greeted by an uncluttered and functional design. 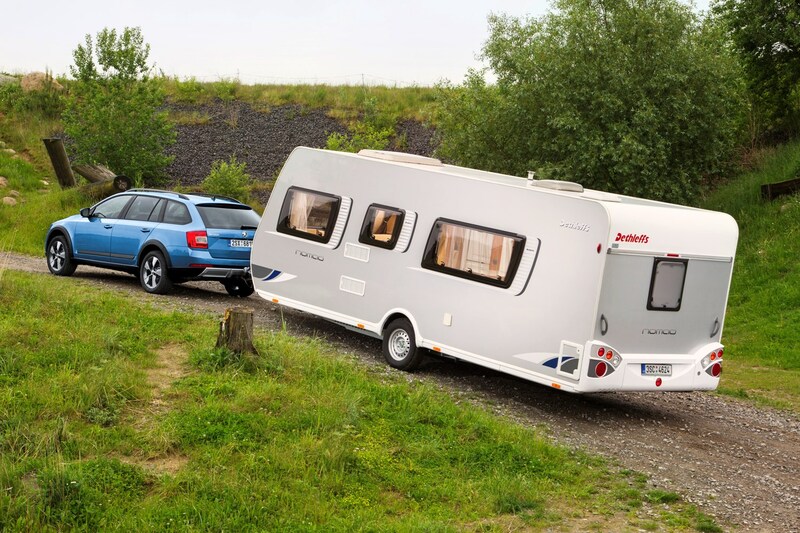 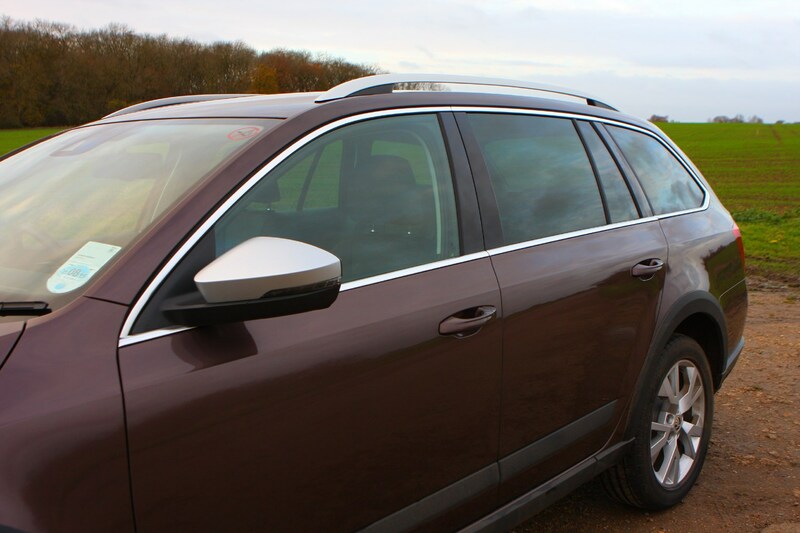 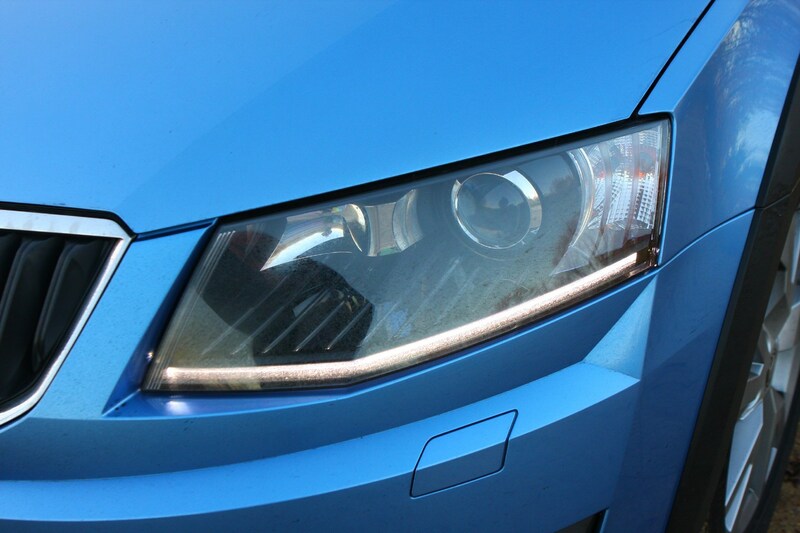 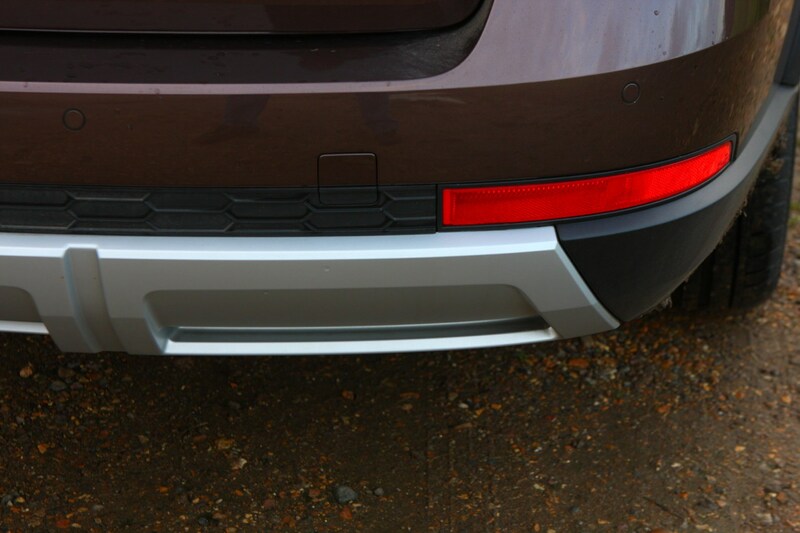 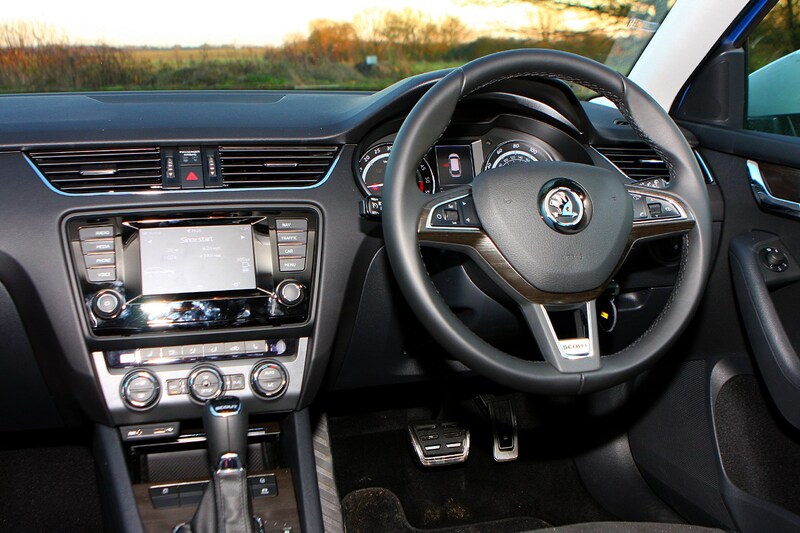 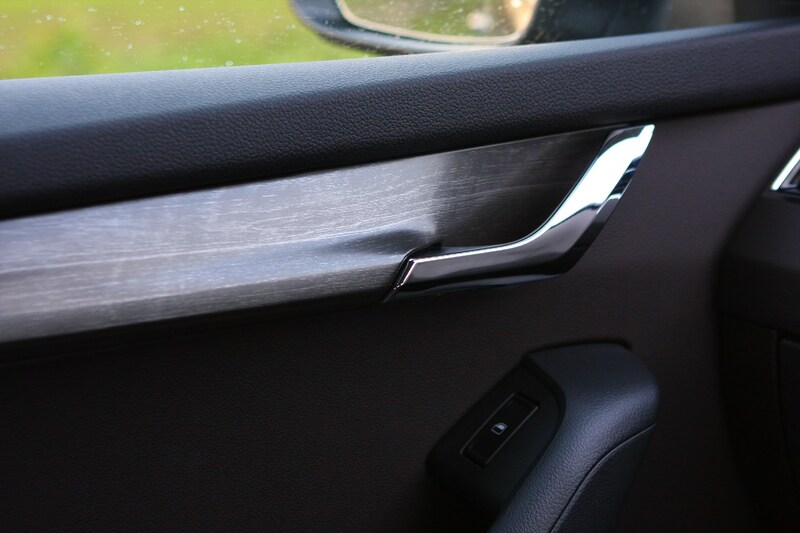 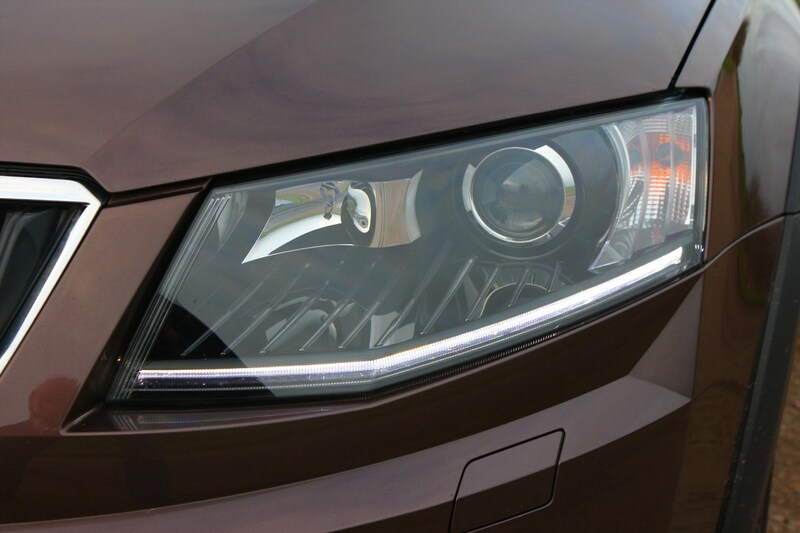 The materials used around the cabin are of excellent quality throughout and there is plenty of kit to play with using the familiar VW Group products. 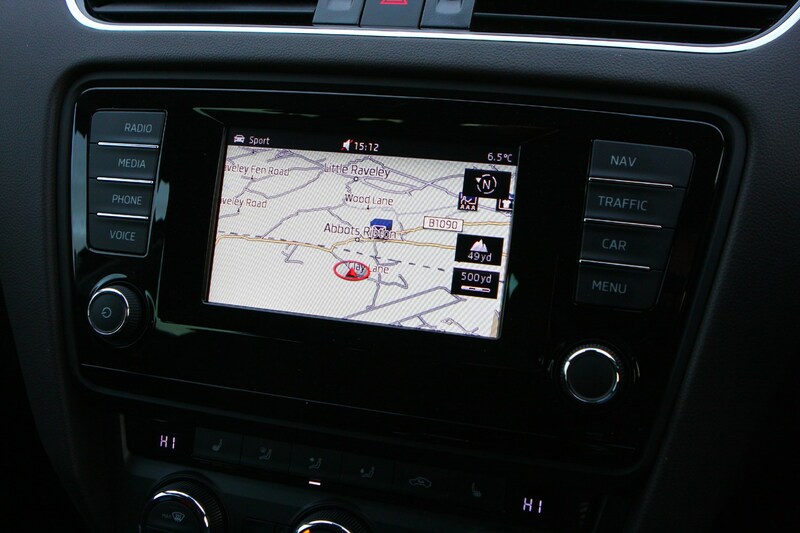 The large colour multimedia touchscreen is easy to control, but you can upgrade to a better system with a bigger screen if you want. 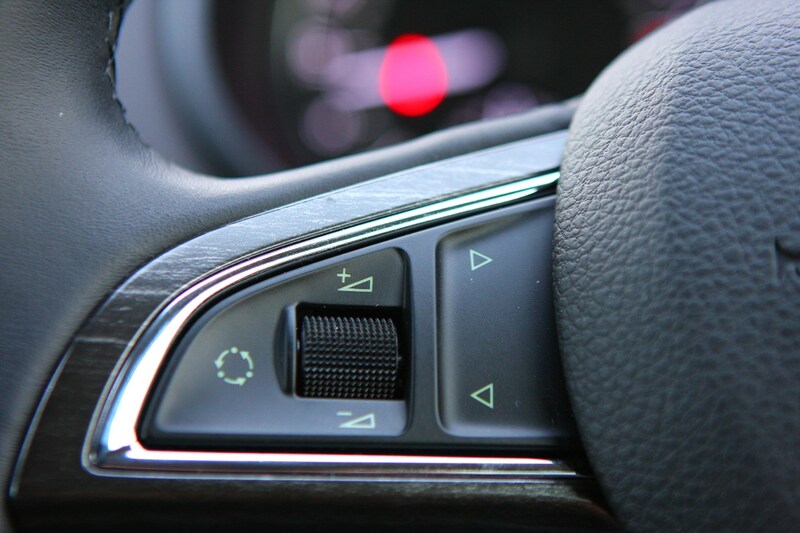 It perhaps is not the most exciting place to be yet it’s simple and intuitive design will make life easy when behind the wheel. 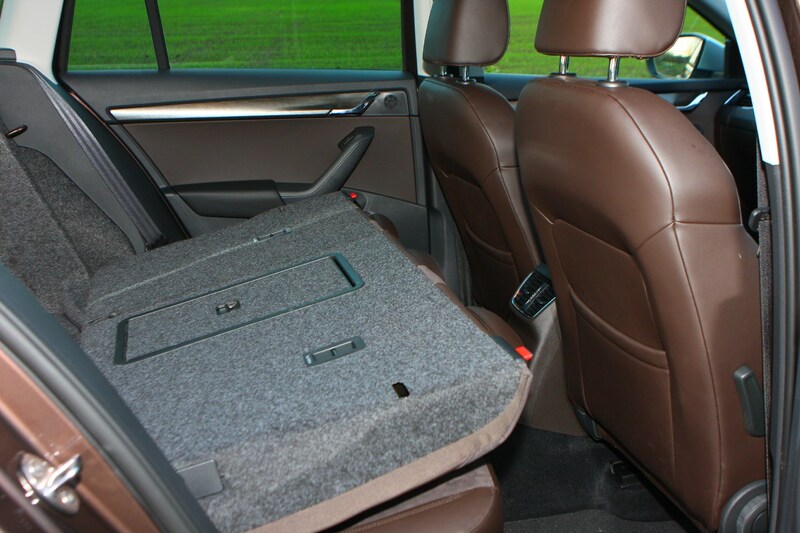 High levels of adjustment in the seats will help you to find a comfortable driving position and the numerous practical storage options surrounding the driver’s seat make it easy to store and have easy access to all of your personal items. 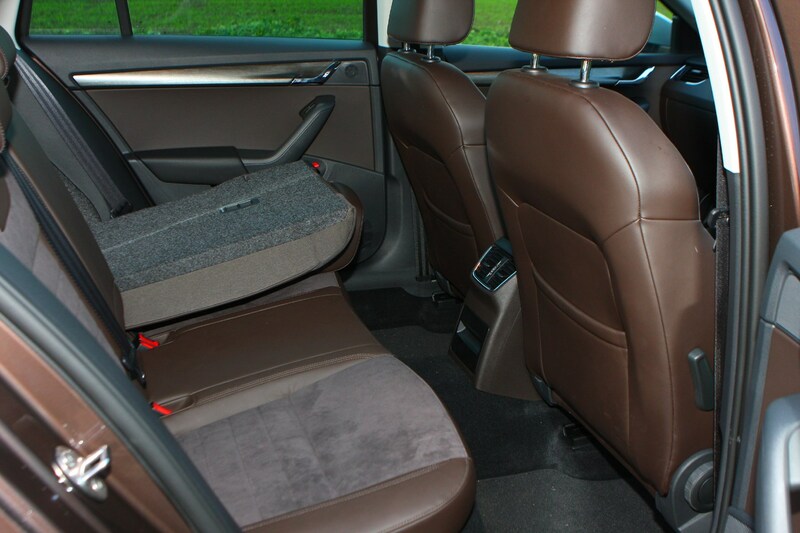 The leather and Alcantara faux suede seats are very comfortable too. 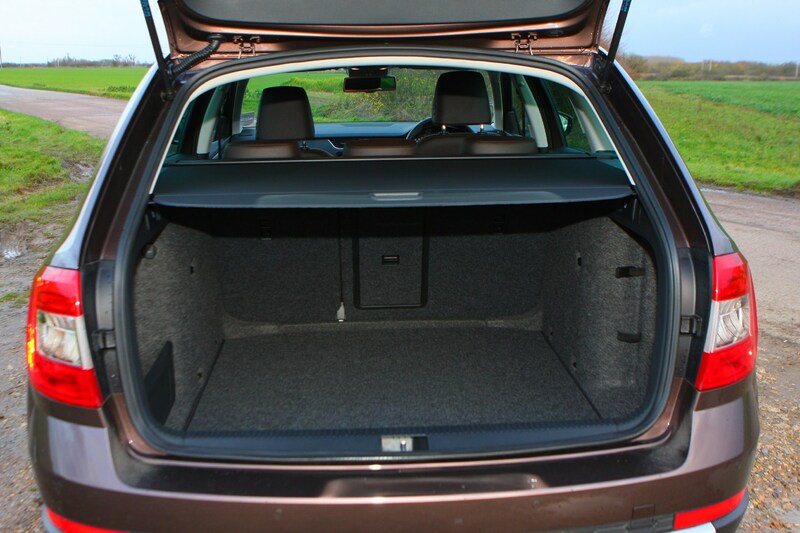 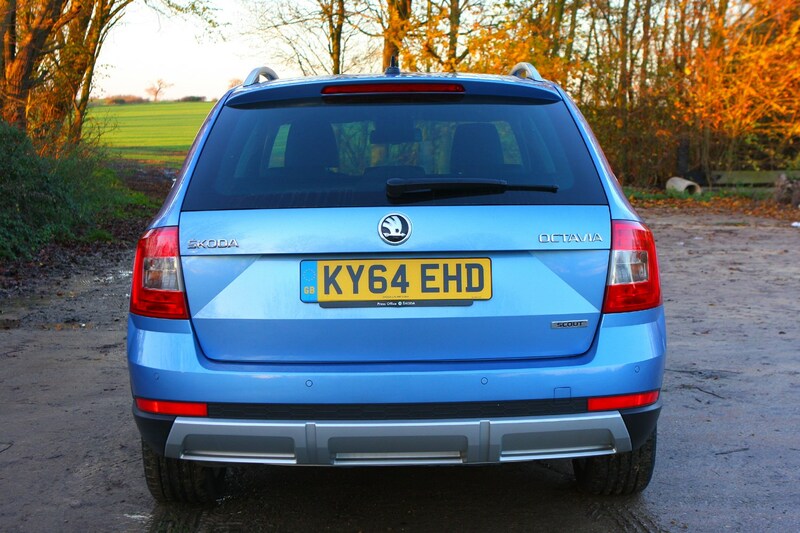 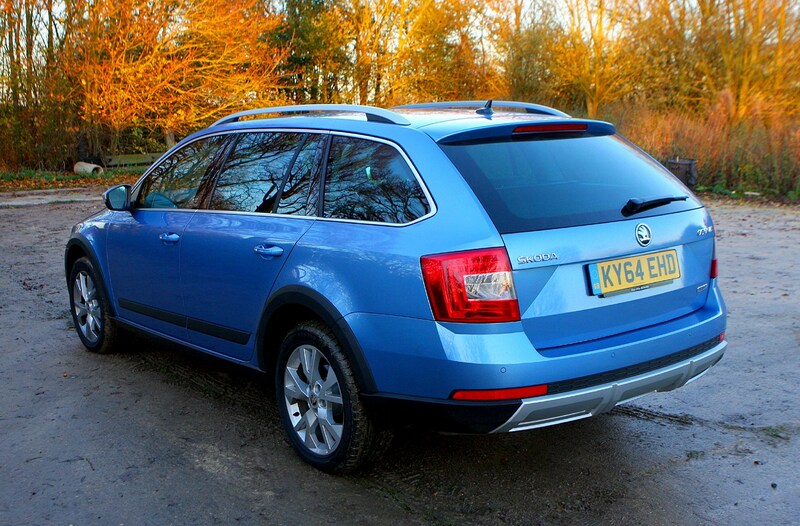 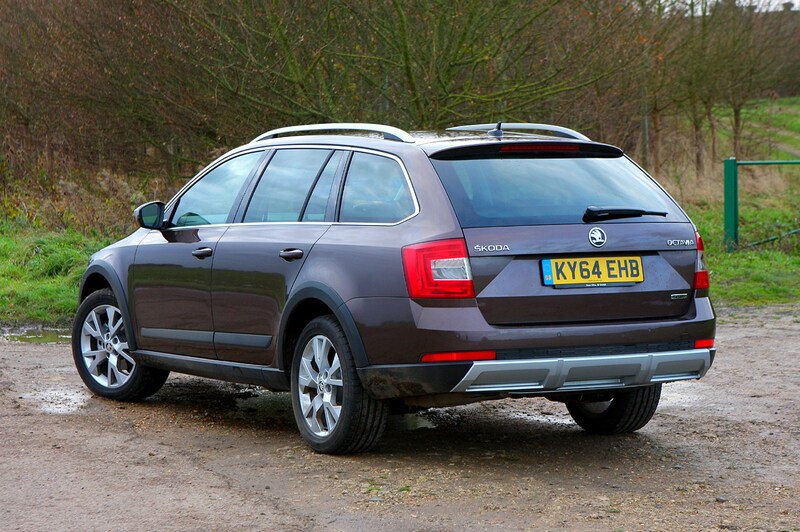 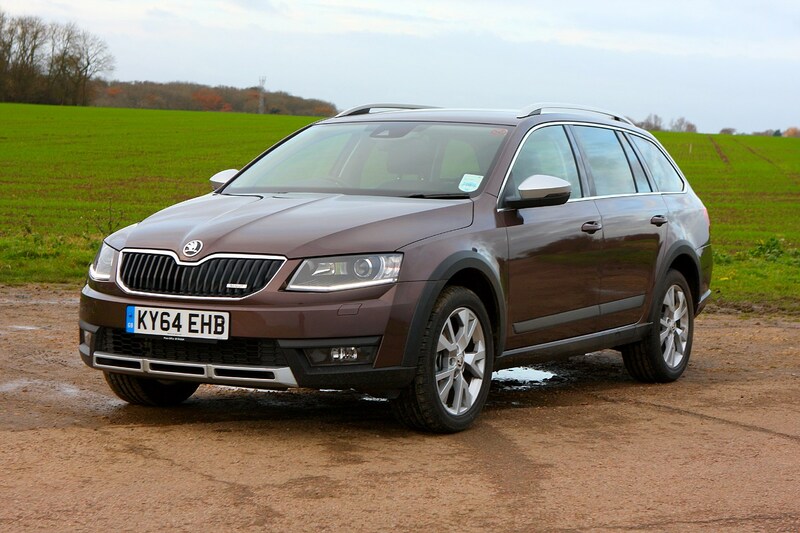 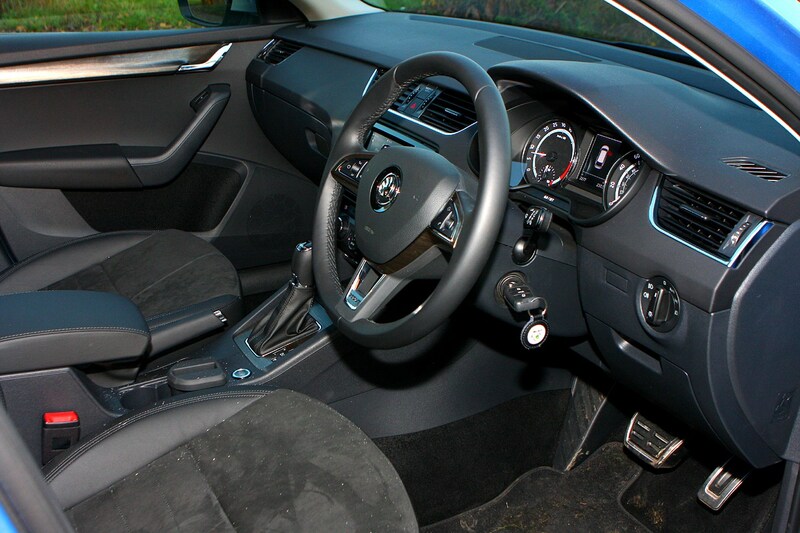 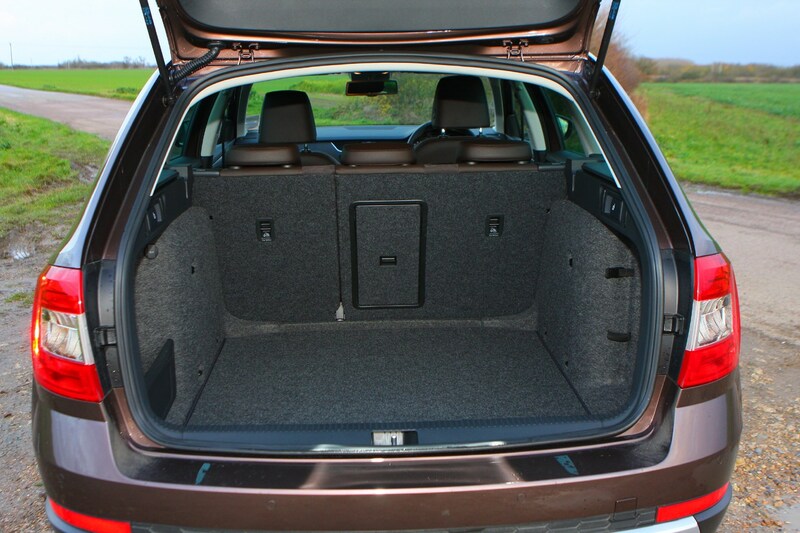 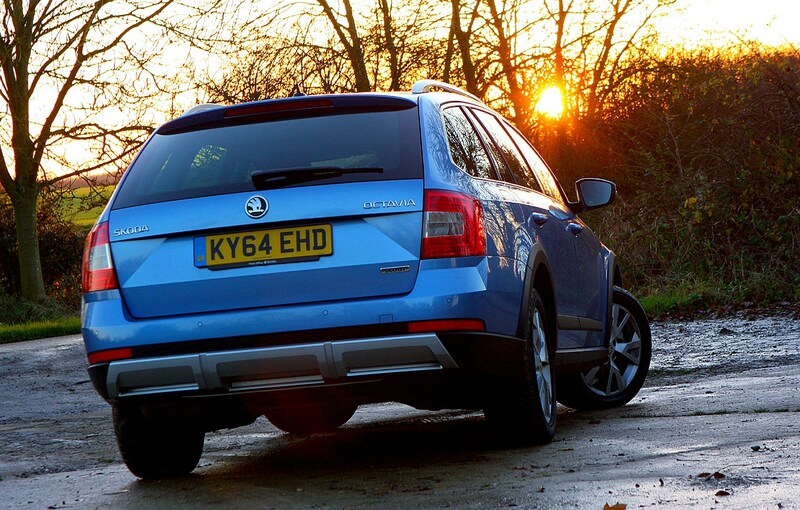 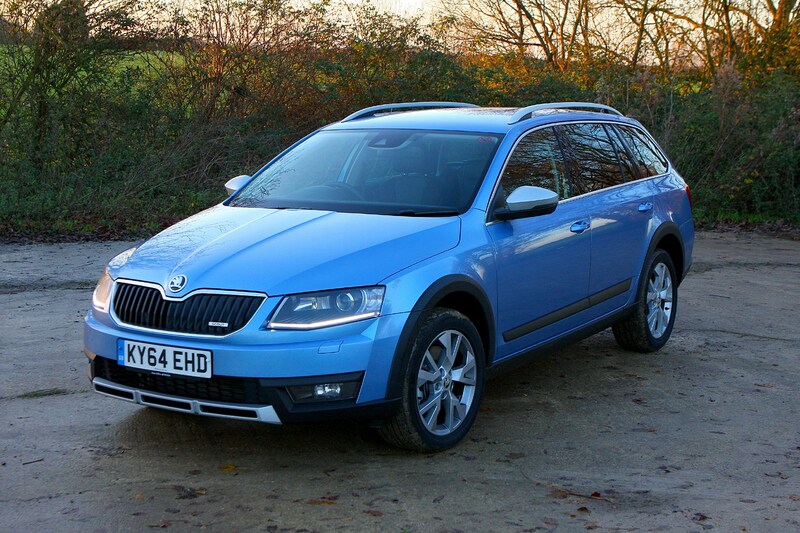 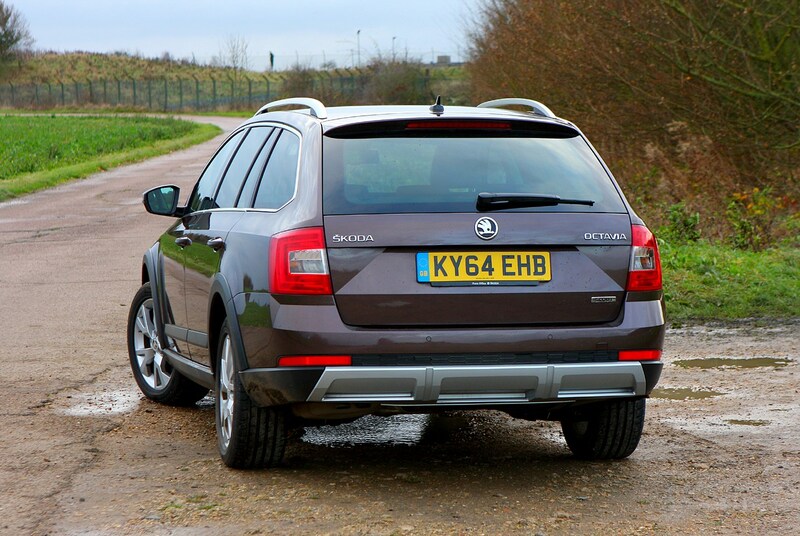 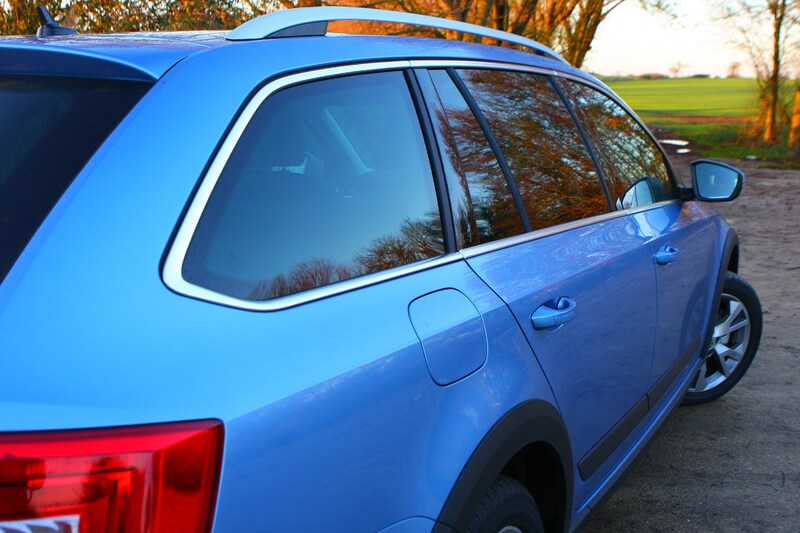 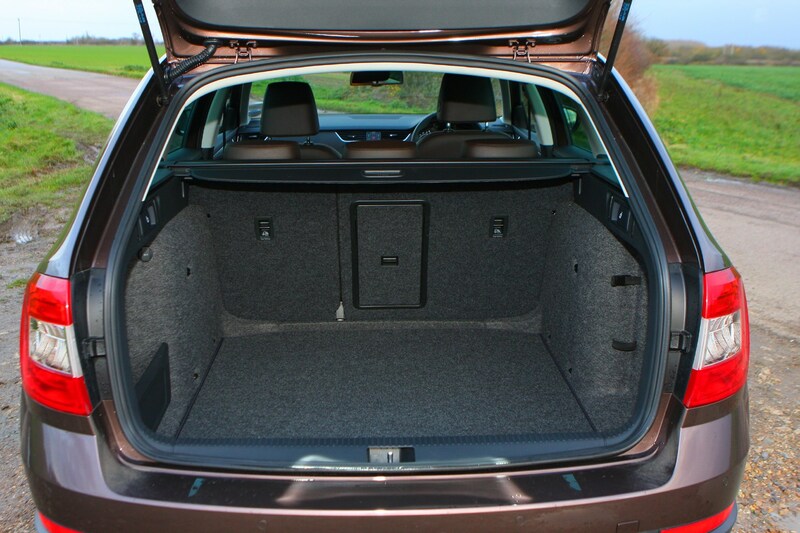 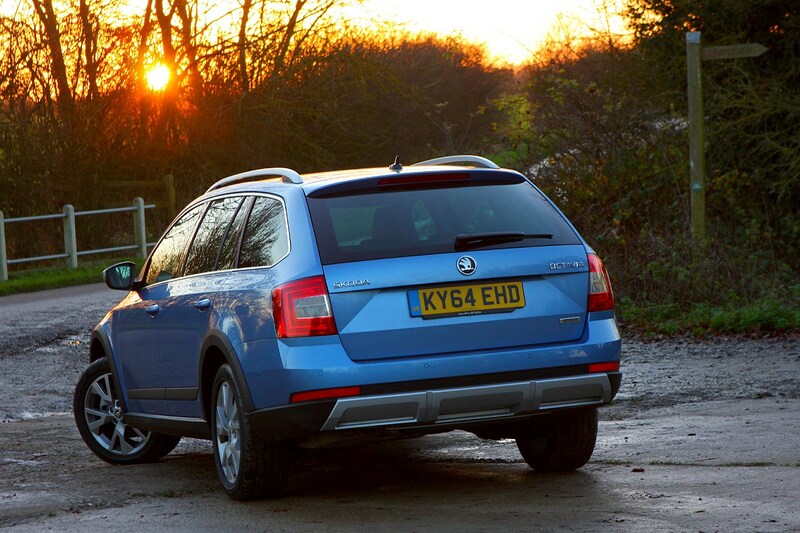 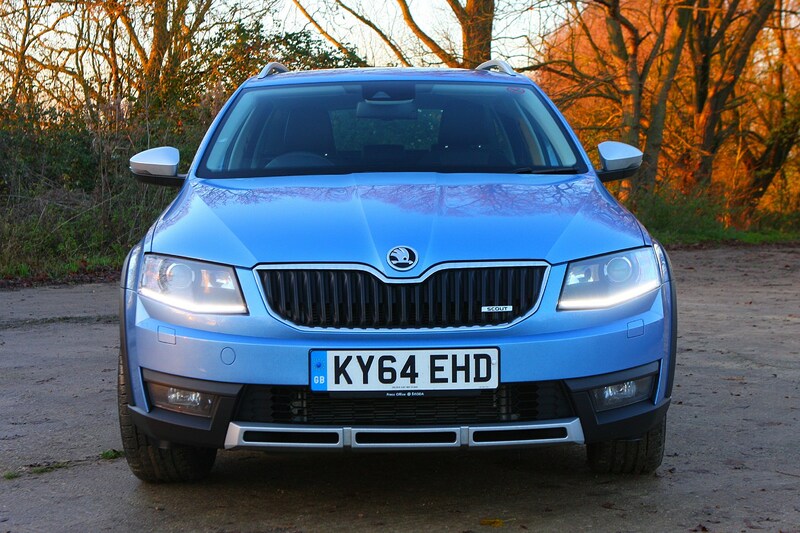 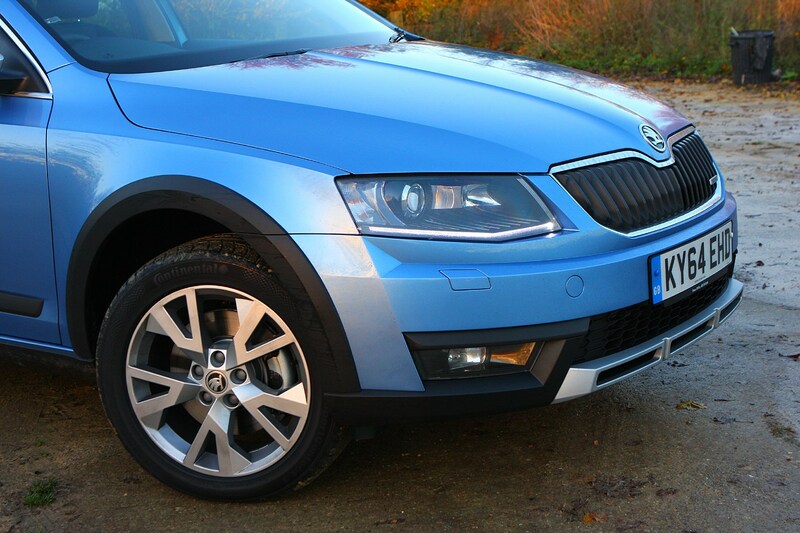 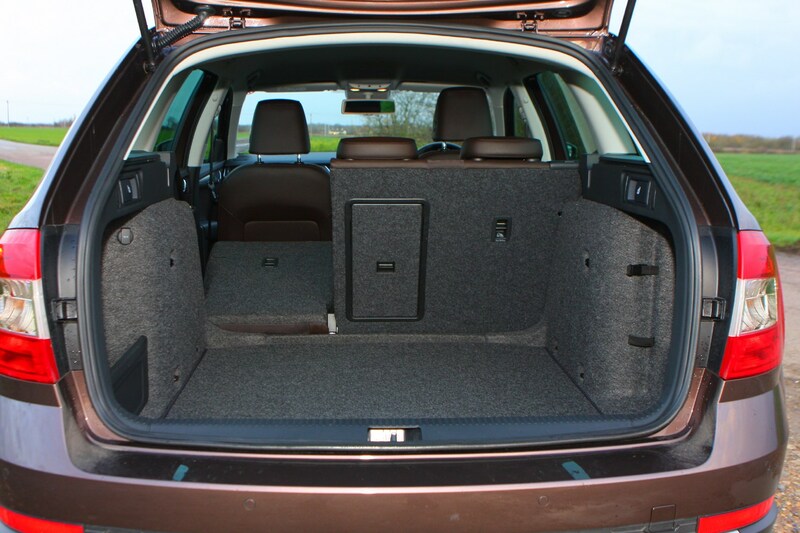 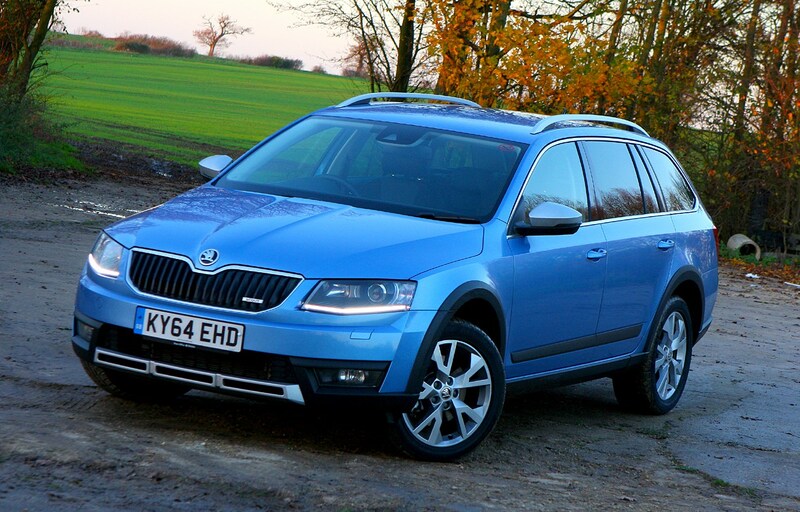 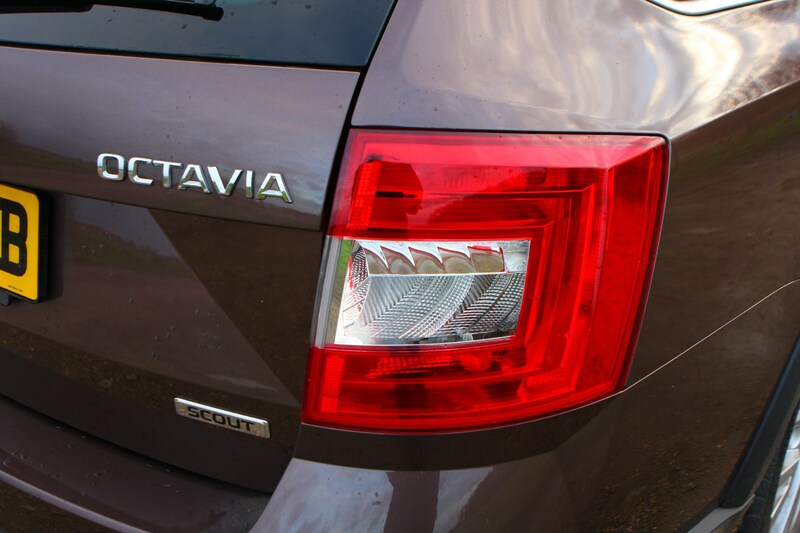 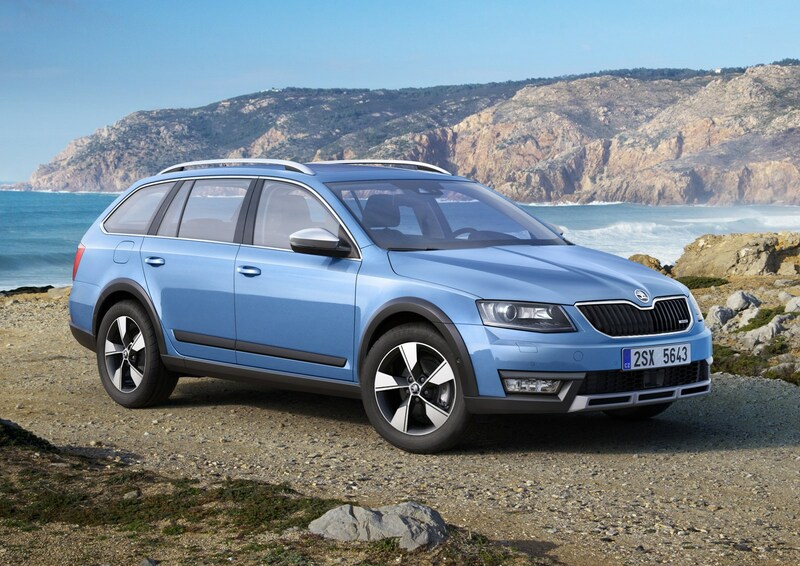 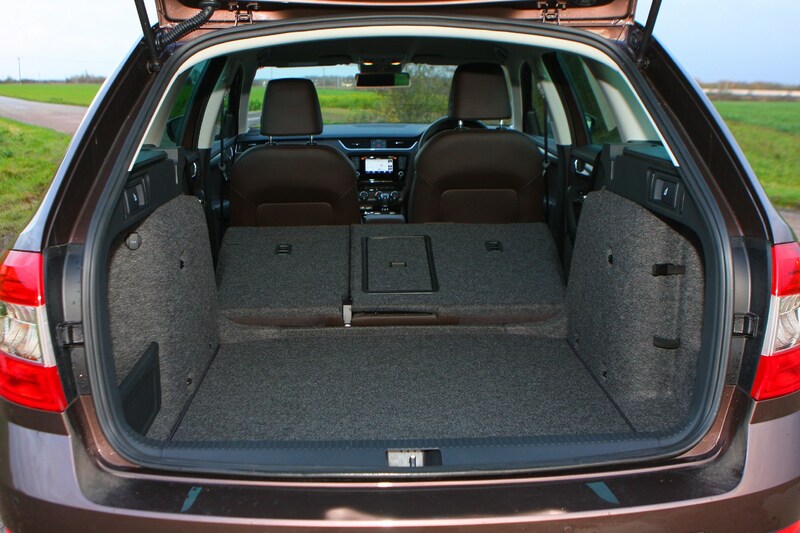 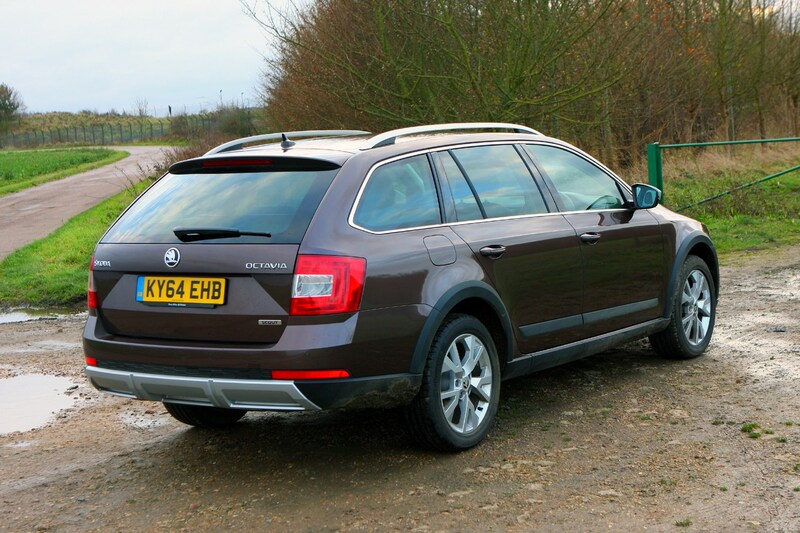 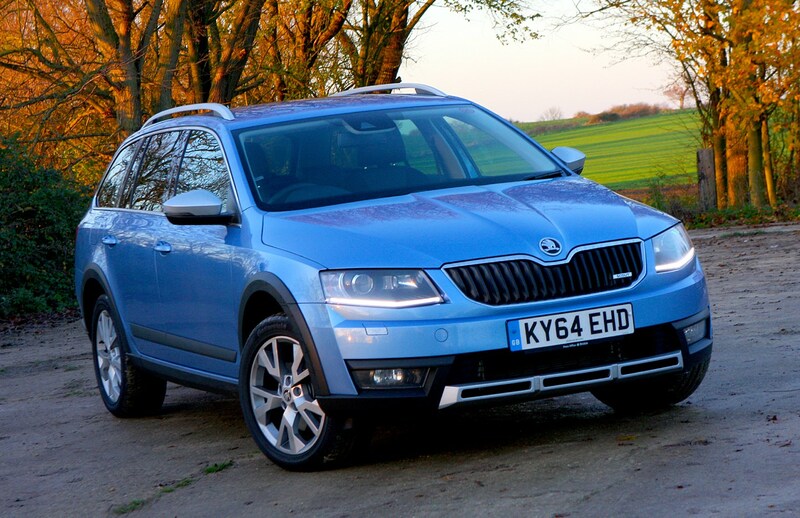 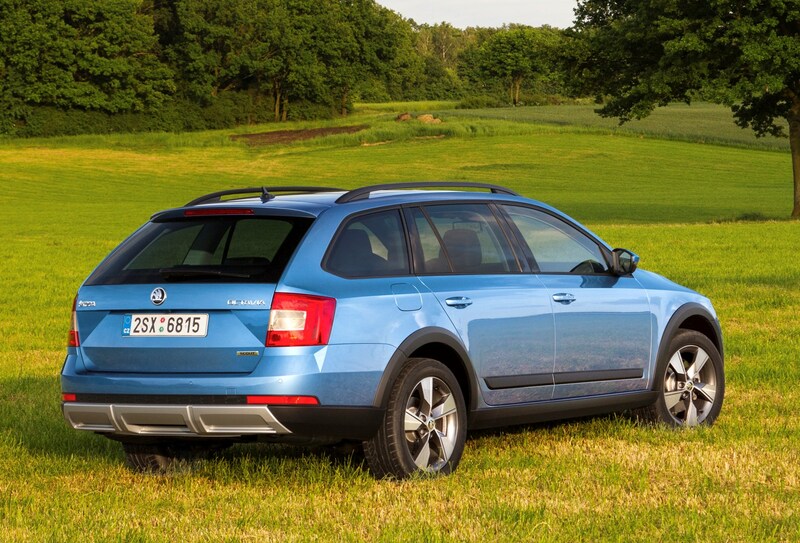 We’re impressed with the comfort levels of the Skoda Octavia Scout. 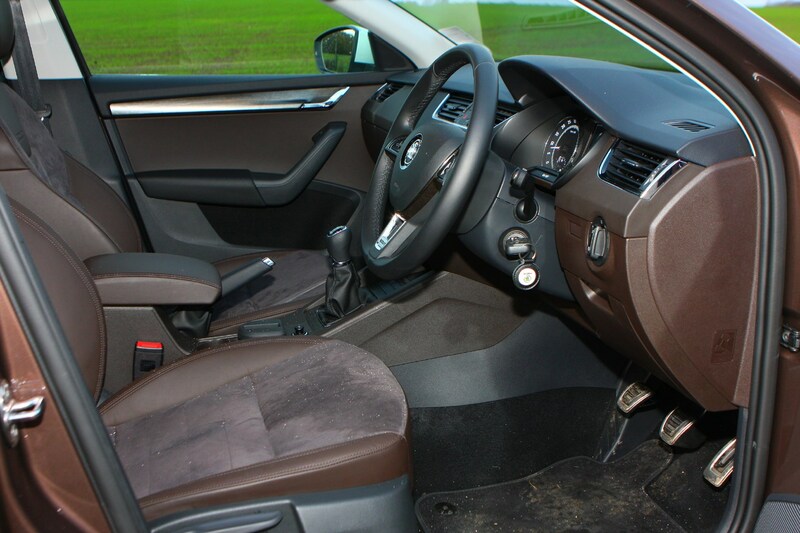 The interior is very spacious with plenty of leg and headroom available for front and rear passengers to stretch out on longer journeys, the seats are very comfortable too. 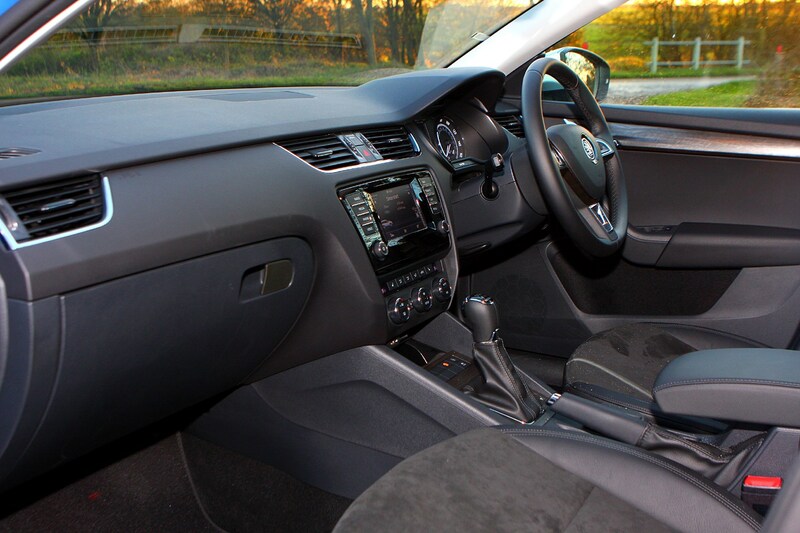 Very little road or wind noise intrudes the cabin and engine noise is pretty non-existent too unless you are revving hard to gain speed quickly. 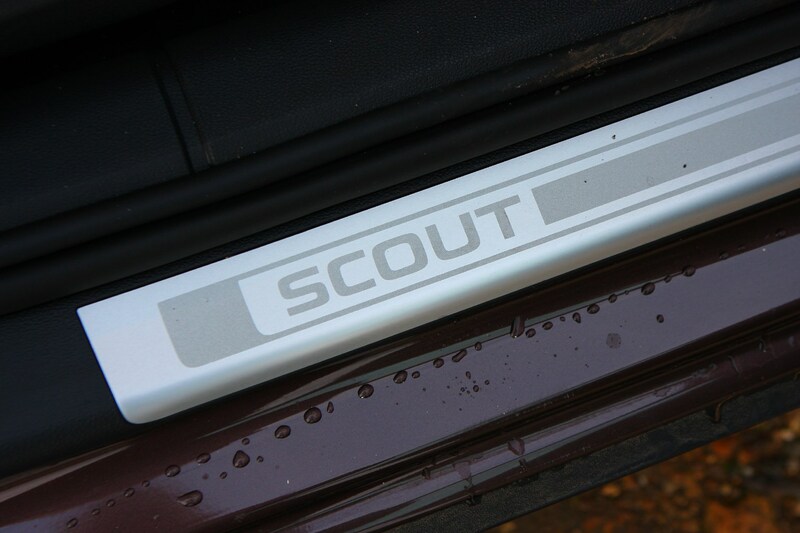 The smooth ride quality and soft suspension in addition to the extra ground clearance means potholes and bumps in the road are no trouble for the Scout. 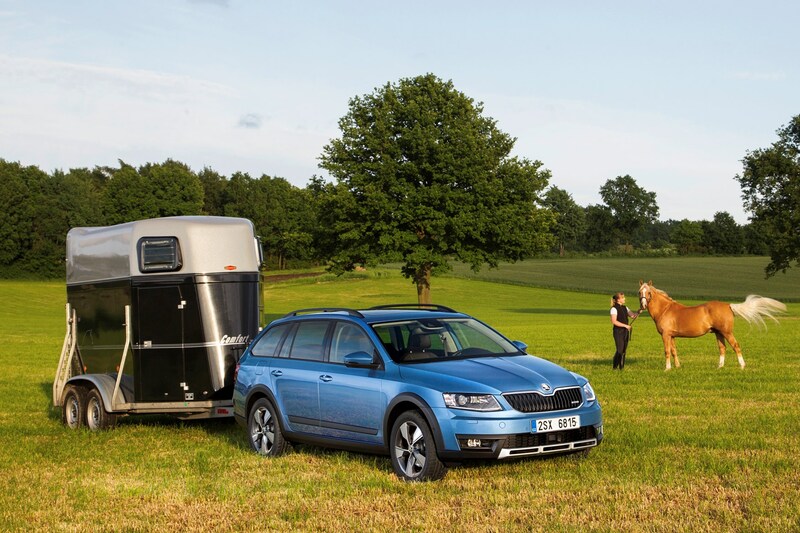 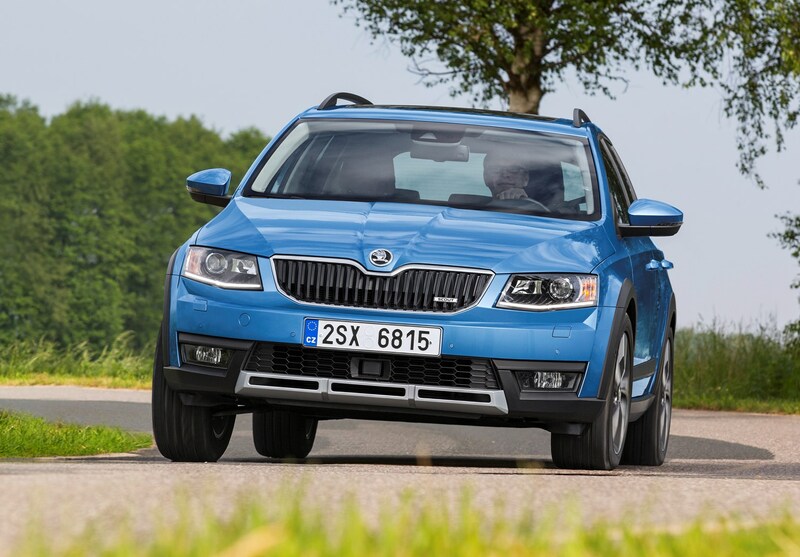 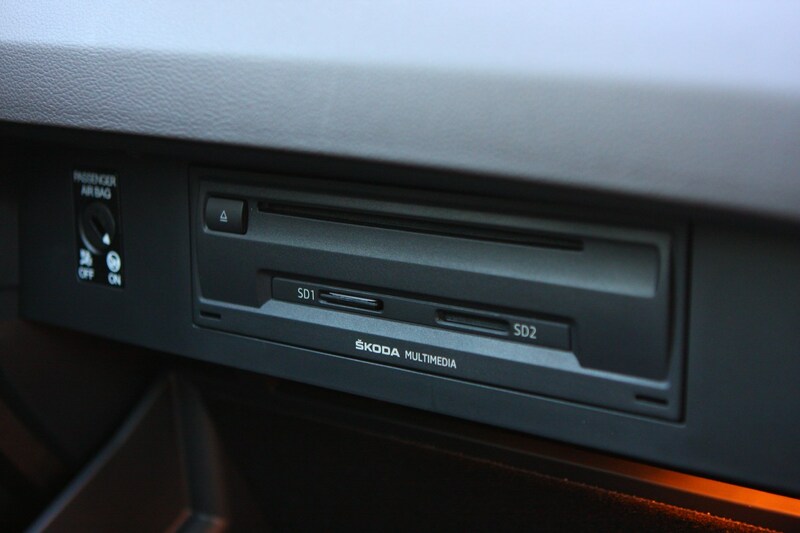 There are plenty of features around the cabin designed to make life easier and more comfortable while on the road, all falling under Skoda’s ‘Simply Clever’ philosophy. 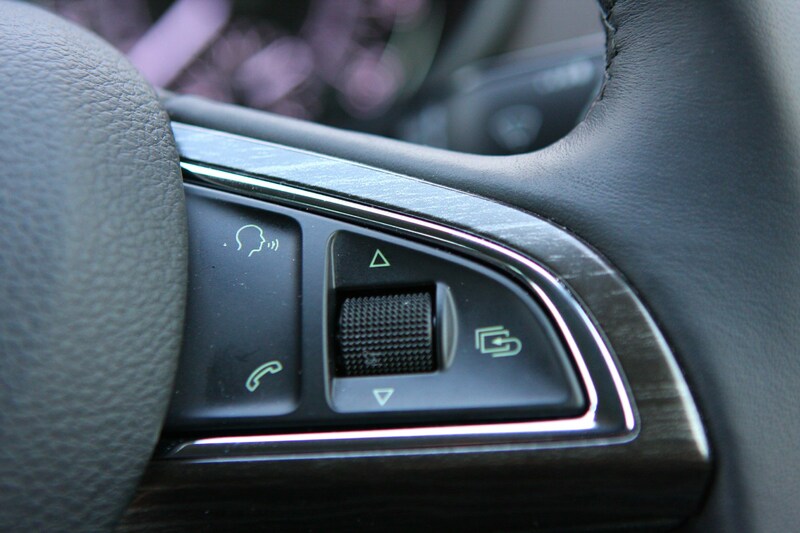 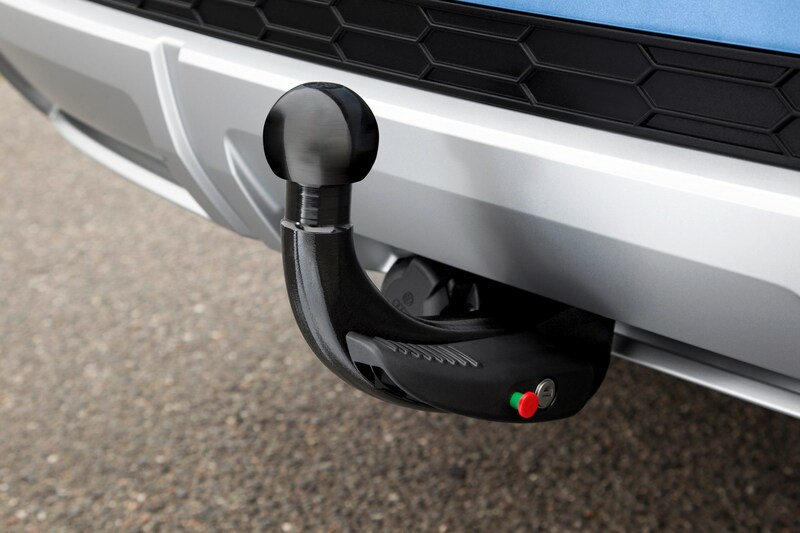 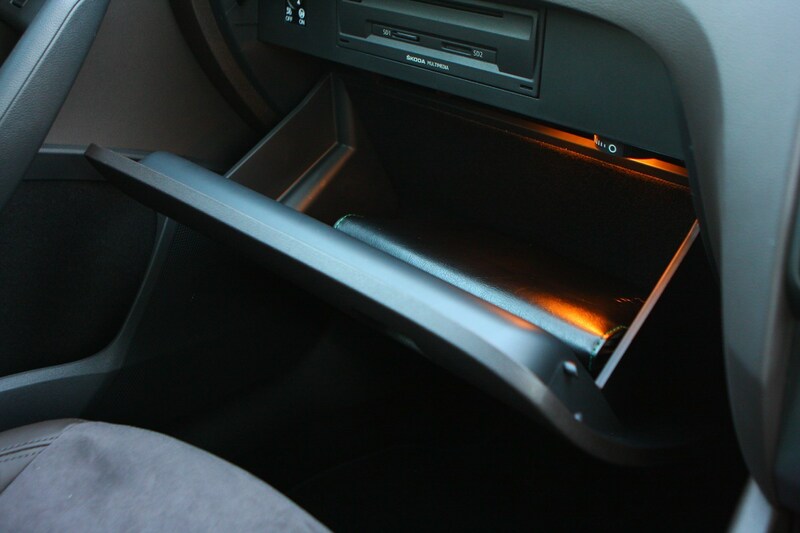 That means there are cupholders that grip a bottle so you just need one hand to open it, an ice-scraper in the fuel filler flap and a boot light which doubles as an LED torch. 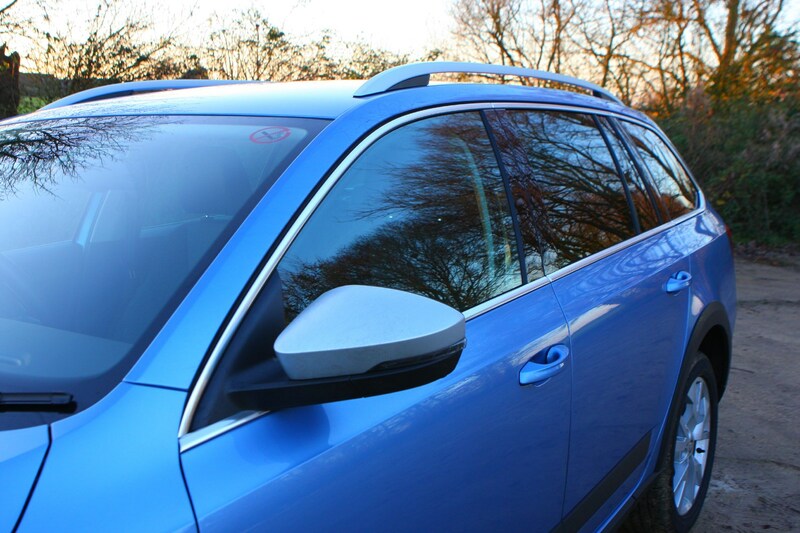 The panoramic sunroof, which is available as an optional extra, brightens up the cabin and is well worth considering when it comes to specifying your car.